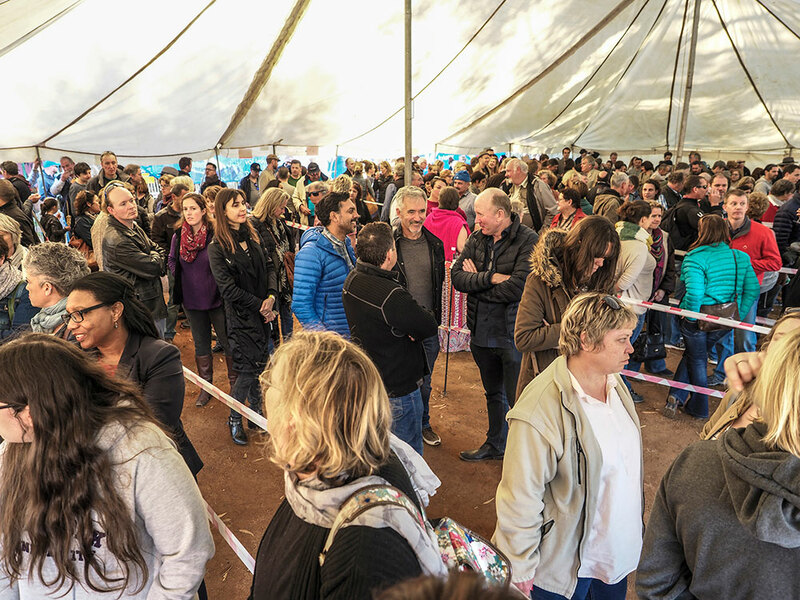 So, you had a blast at Voorkamerfest 2018, here’s looking at doing the same but different at Voorkamerfest 2019! The Voorkamerfest team and Evita se Perron in association with the Fugard Theatre say THANK YOU to all who joined Voorkamerfest 2018 – we look forward to seeing BACK this year for more magic and mystery! 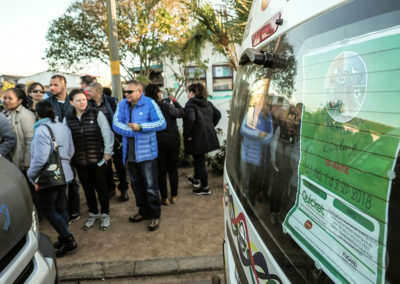 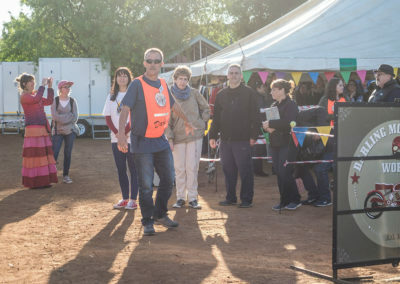 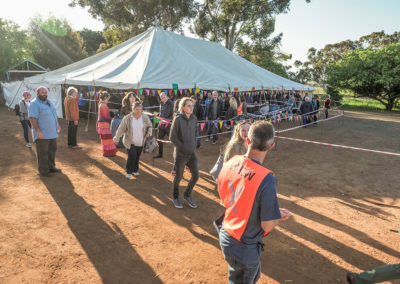 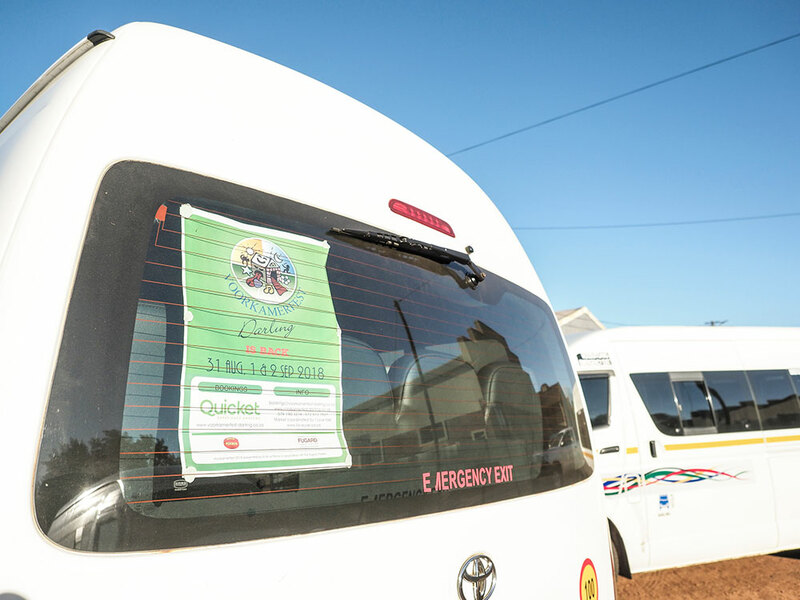 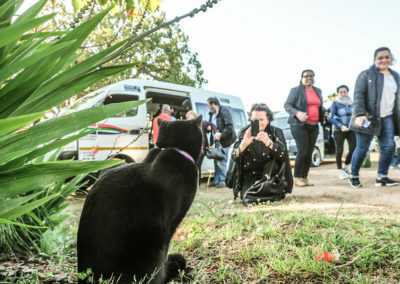 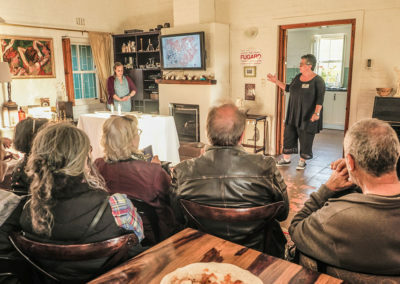 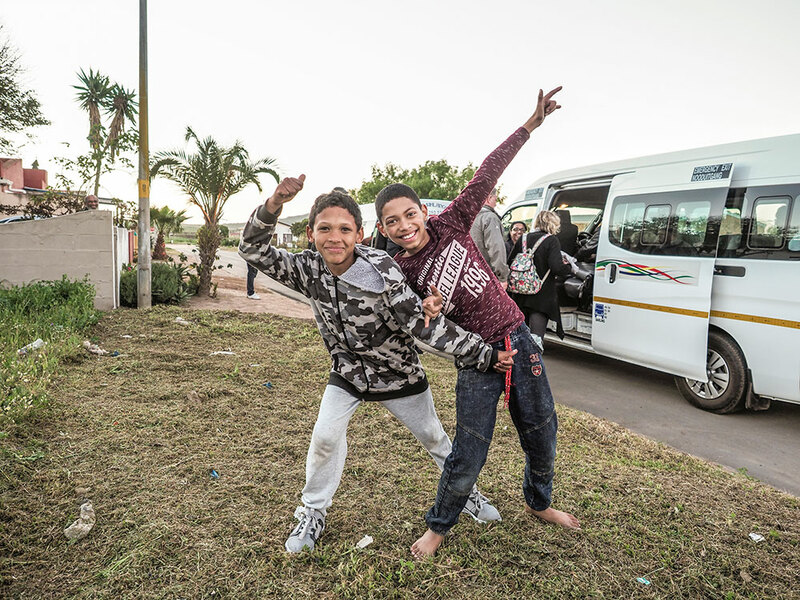 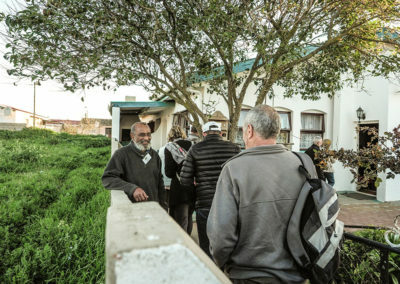 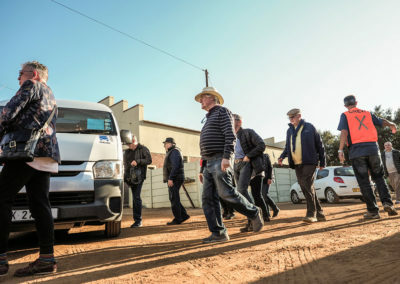 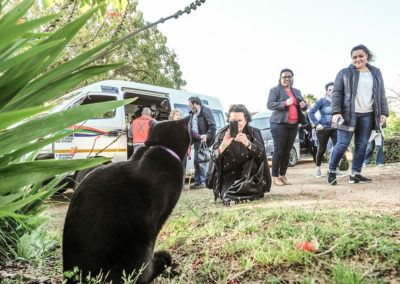 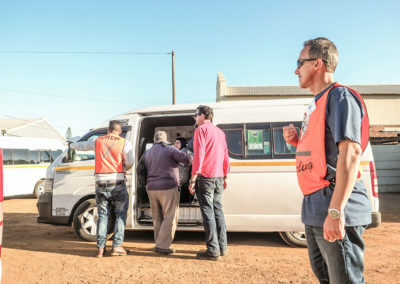 The 13th annual Voorkamerfest in darling took place during the first weekend in September, graced with early Spring flowers blooming in every surrounding field and reserve. 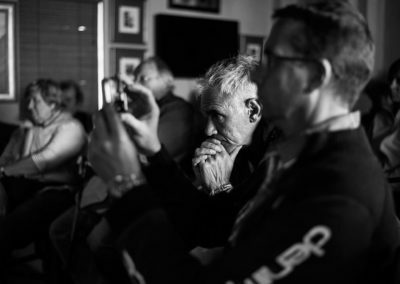 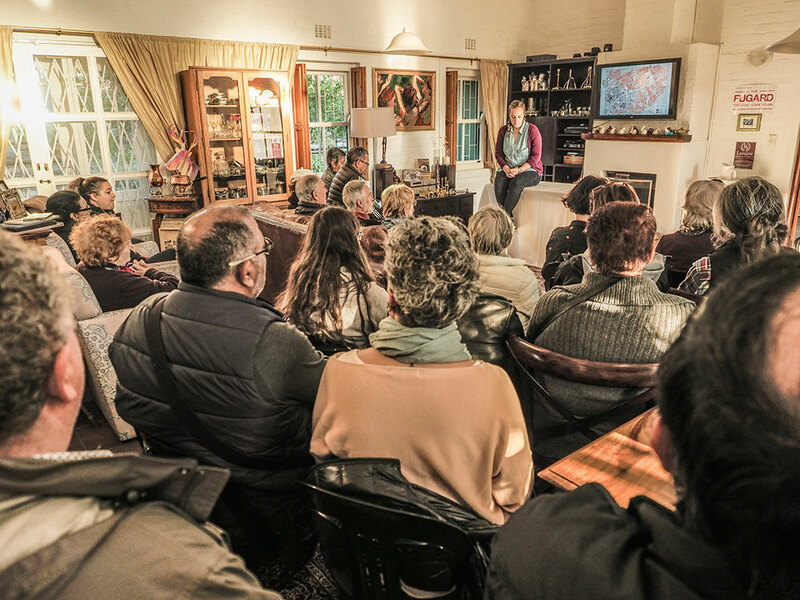 Regular and new fans were enthralled and dazzled by this year’s line-up. 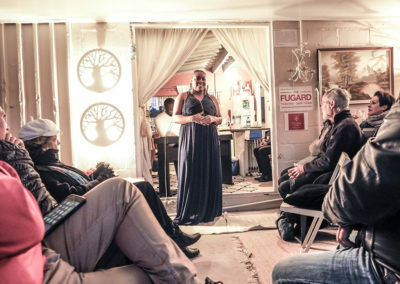 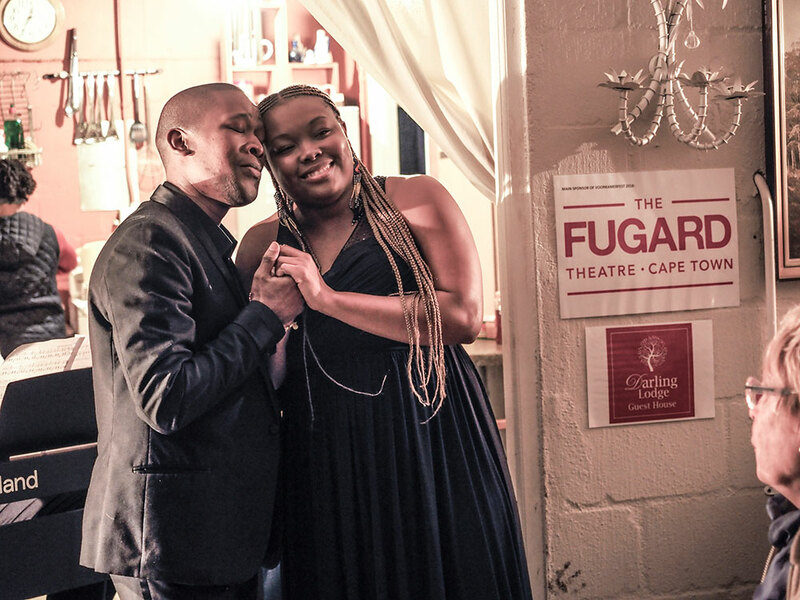 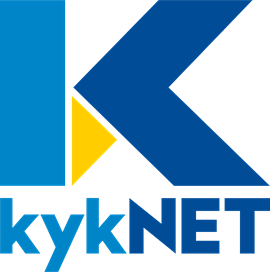 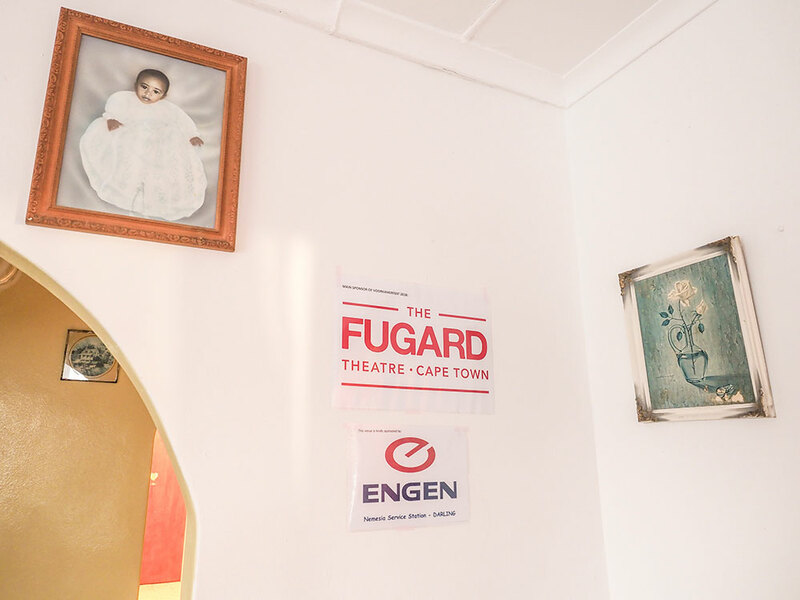 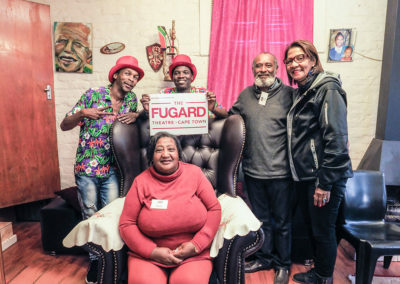 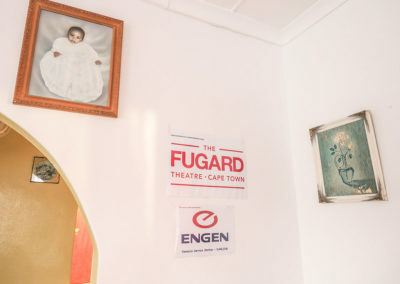 What a privilege to partner with The Fugard Theatre, Kyknet, Wesgro, Rupert Musiekstigting, Engen, Carolyn Steyn and Darling Businesses – making it possible for Voorkamerfest to continue working towards expanding the impact of the performing arts in our local community and further afield. 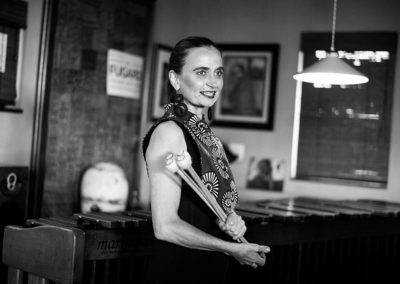 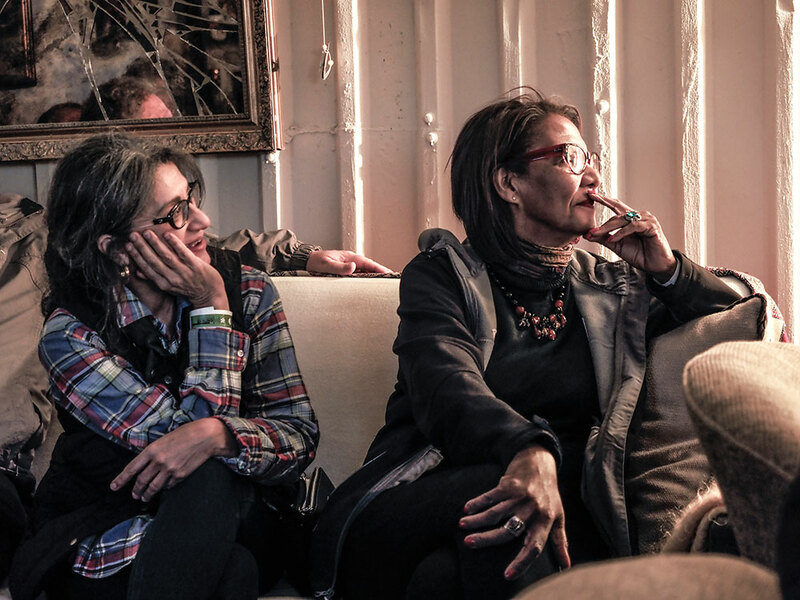 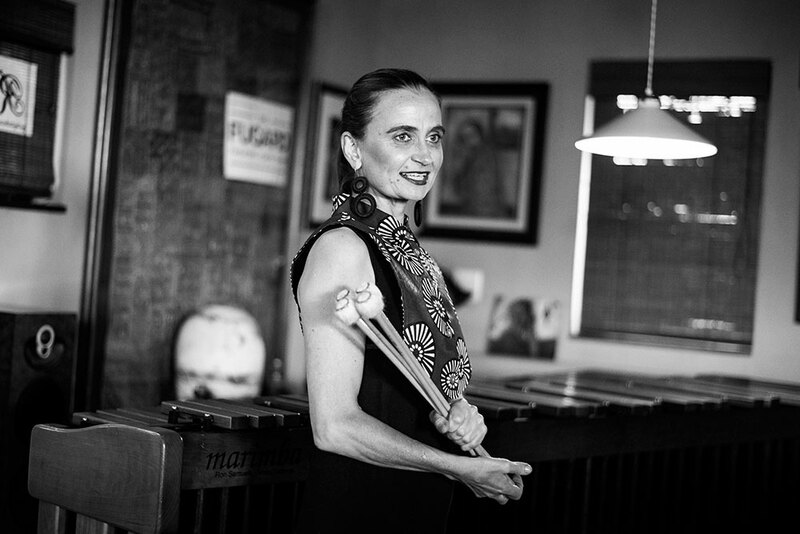 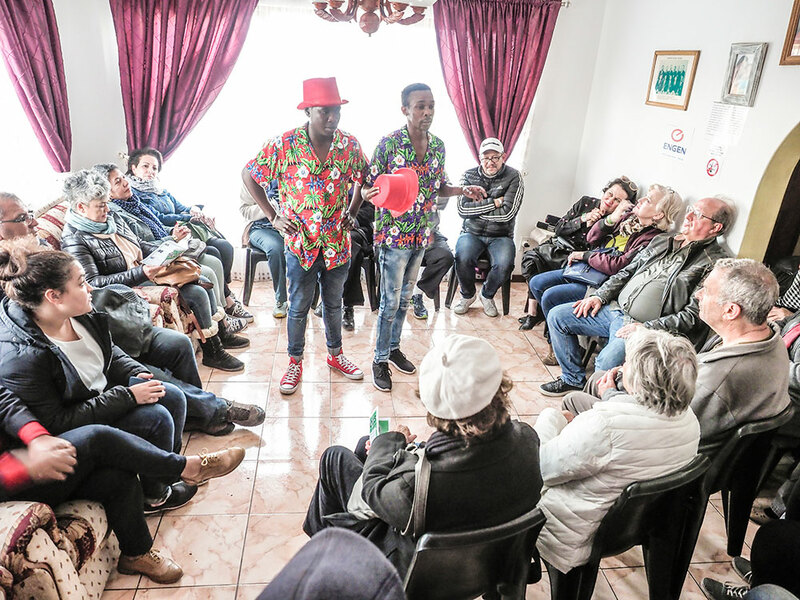 Aside from essential funding needed in order for the Voorkamerfest to survive, this community-run festival can only succeed if key residents and performers are willing to give of their time, talent, energy and spirit – i.e. 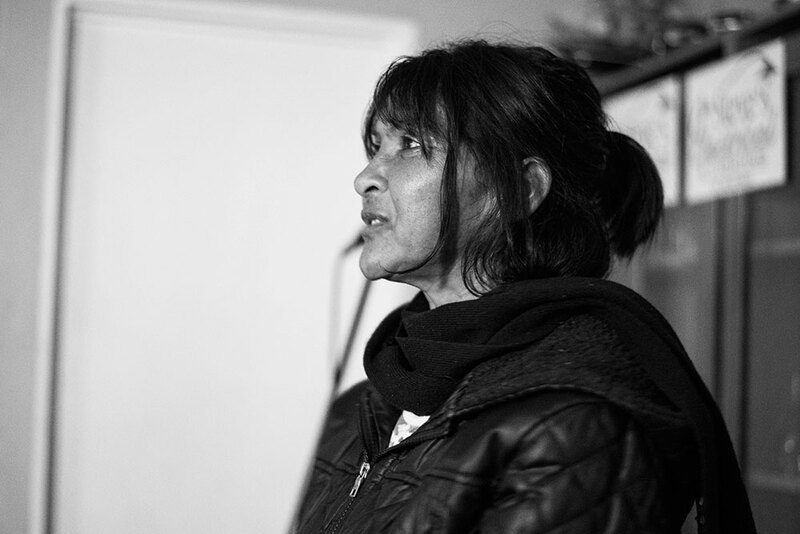 the theatre hosts, taxi drivers and of course our treasured back stage worker-bees! 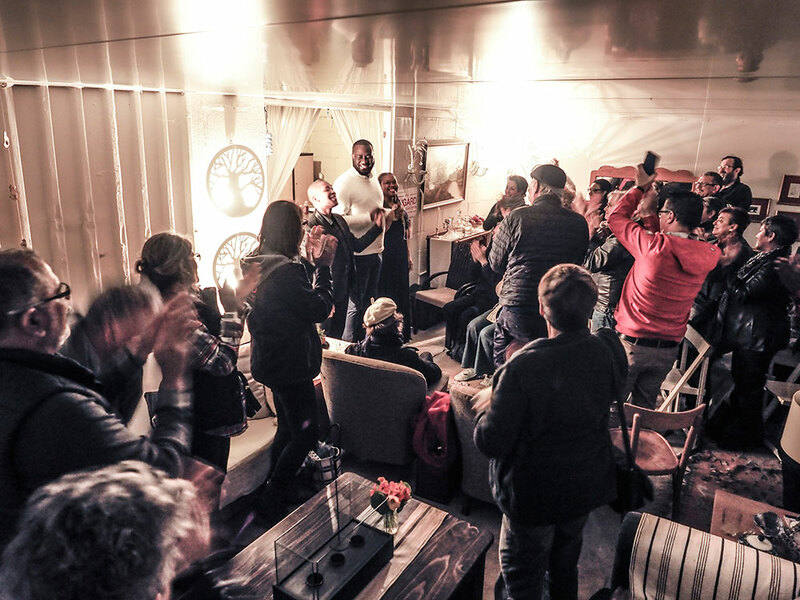 Thanks to all, for your commitment. 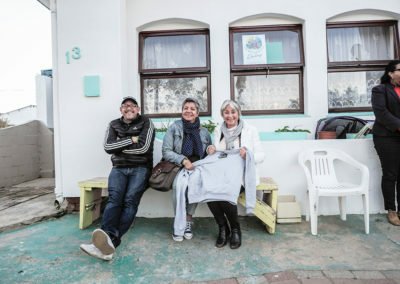 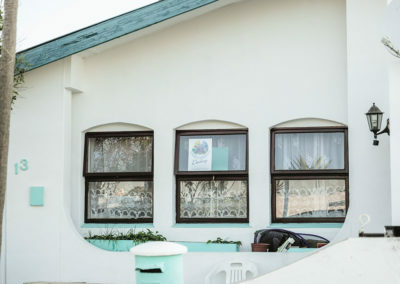 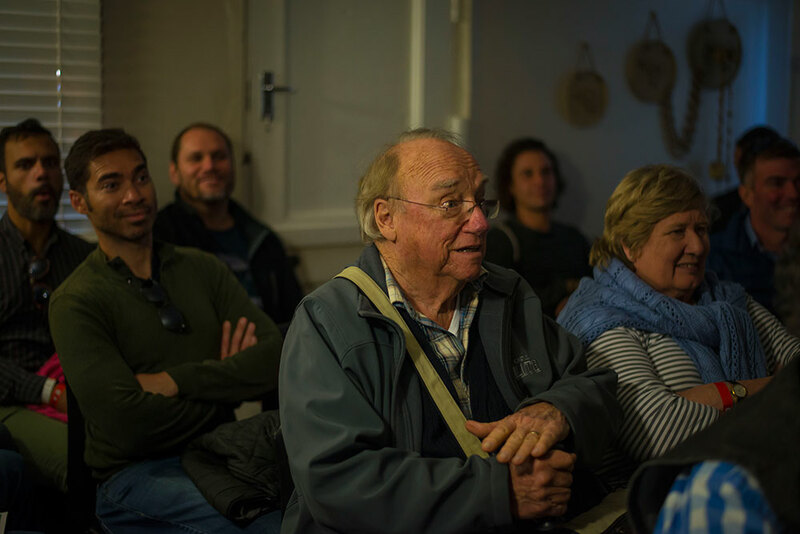 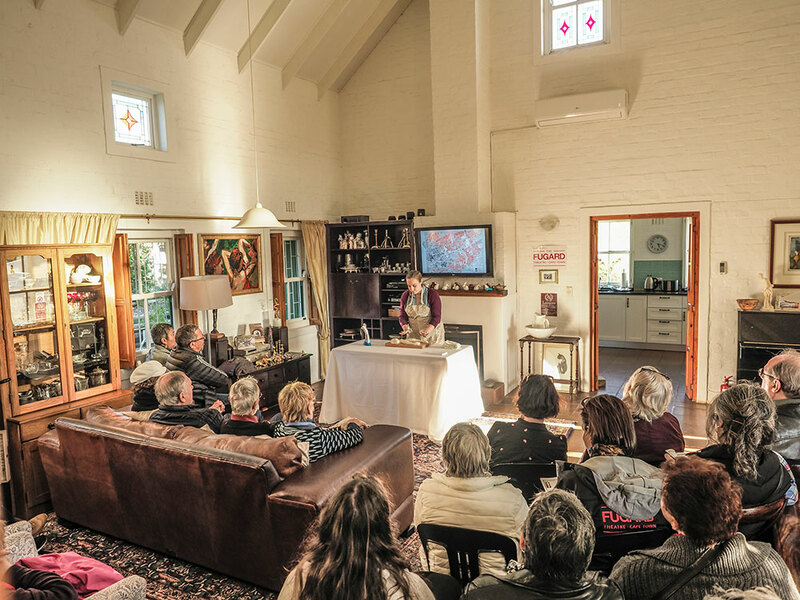 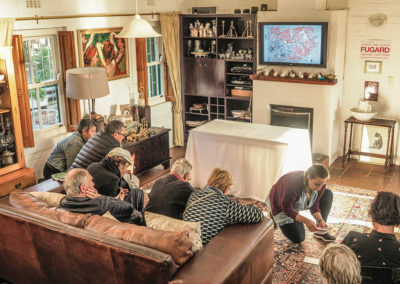 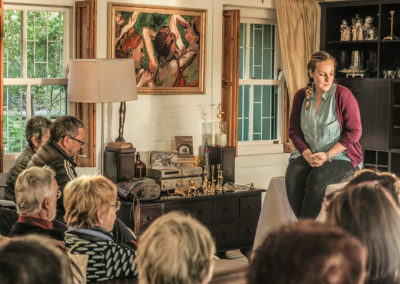 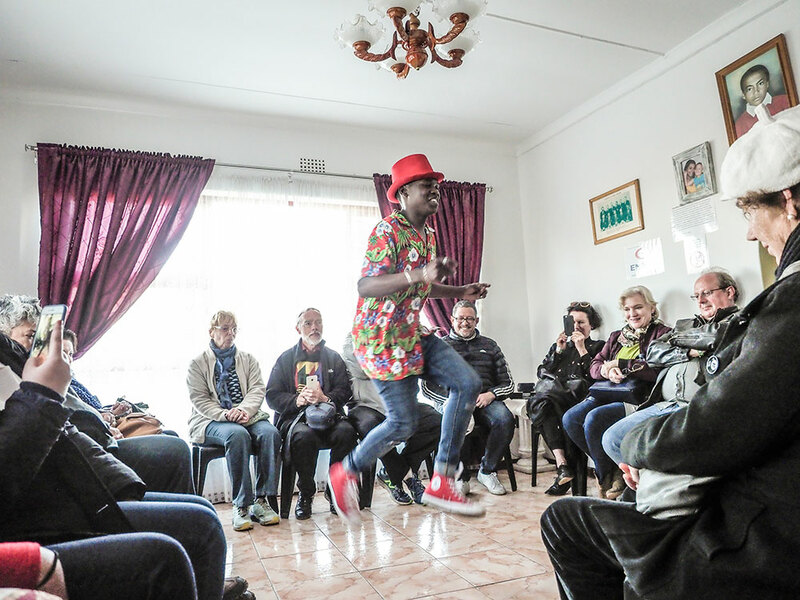 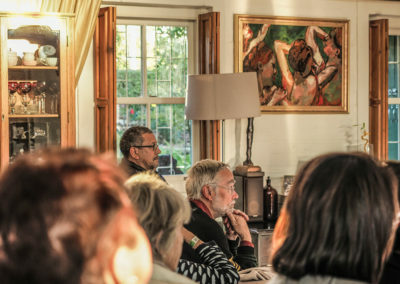 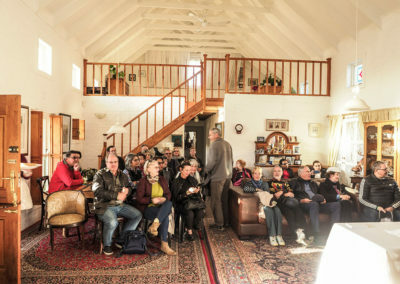 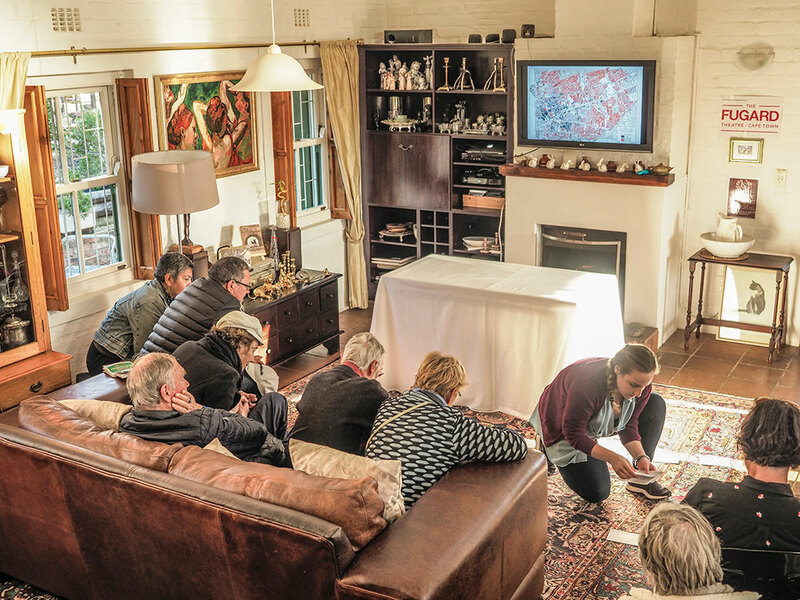 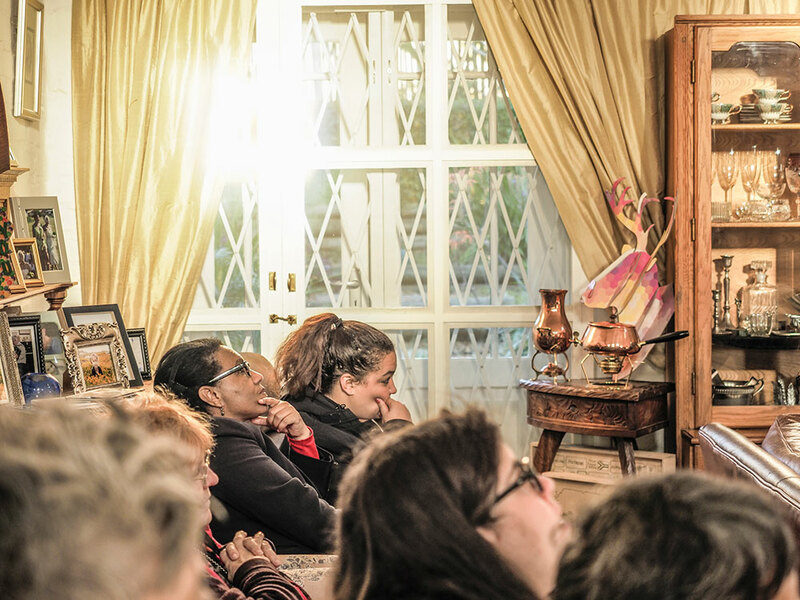 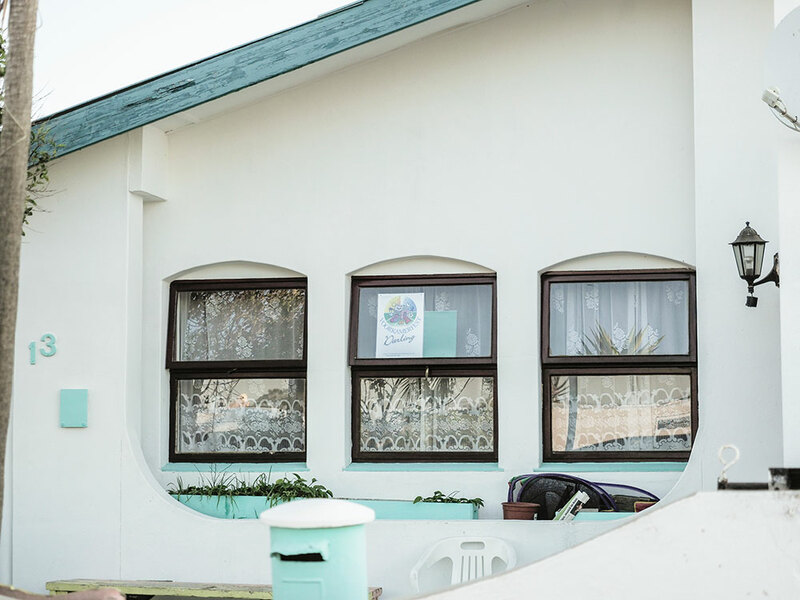 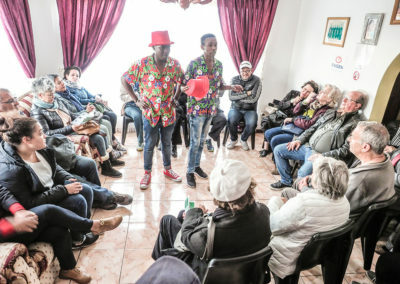 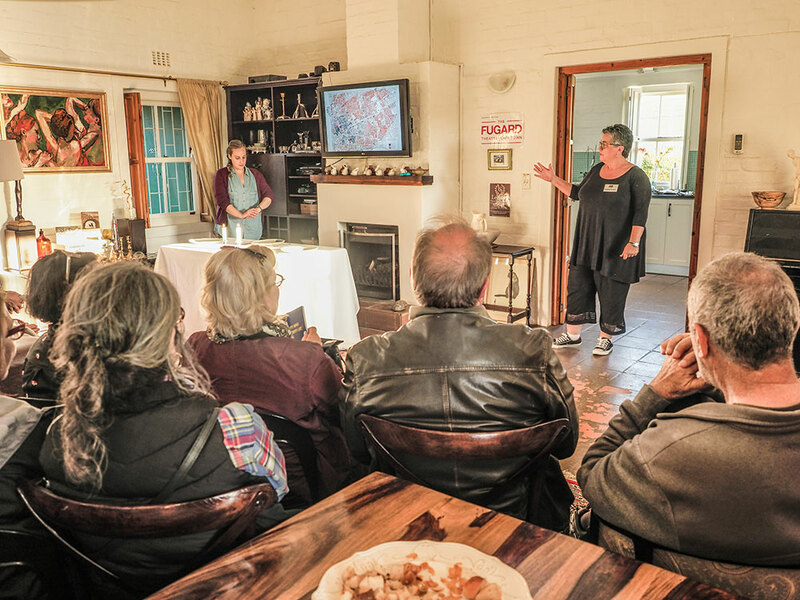 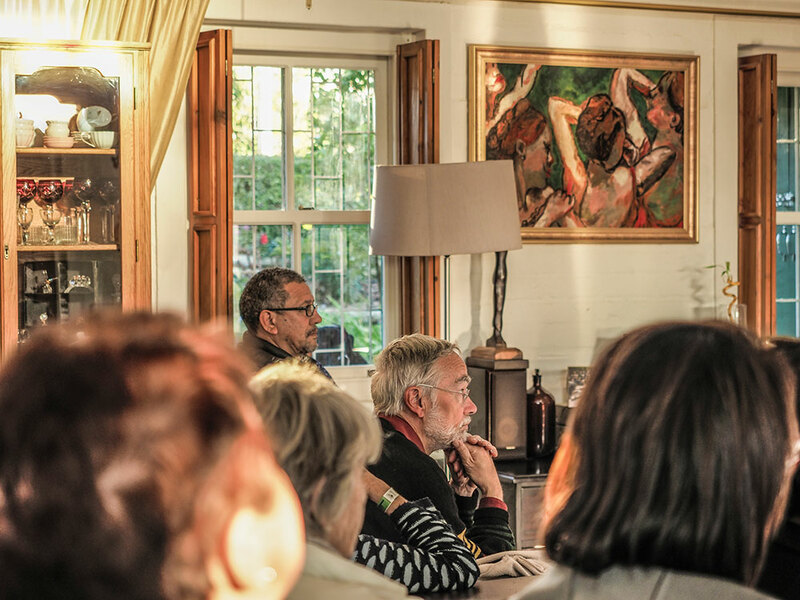 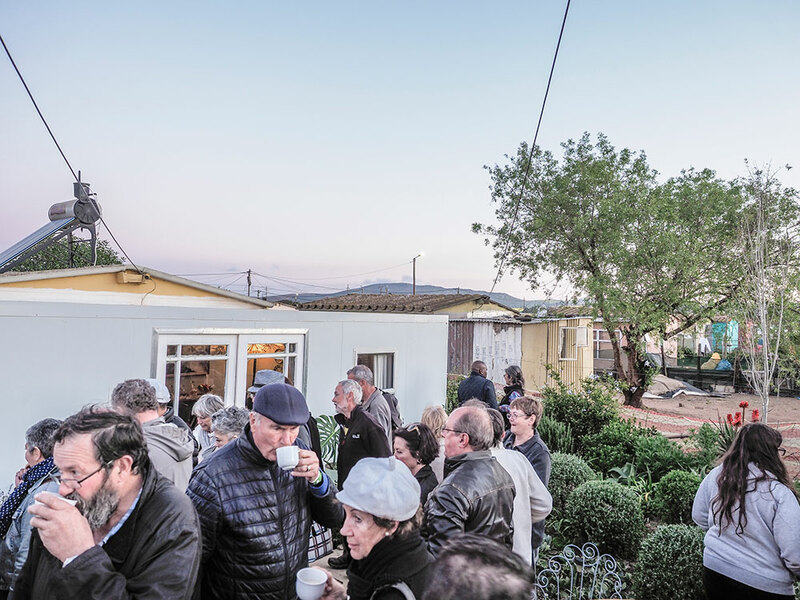 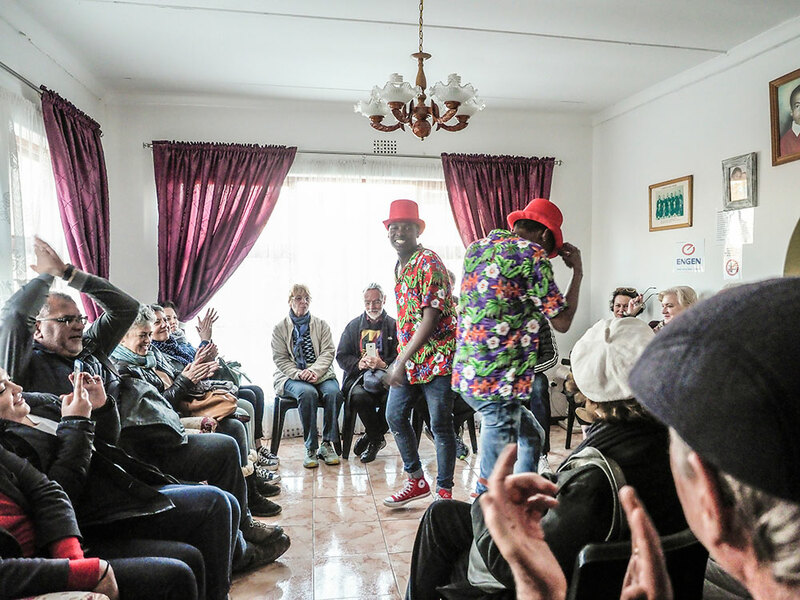 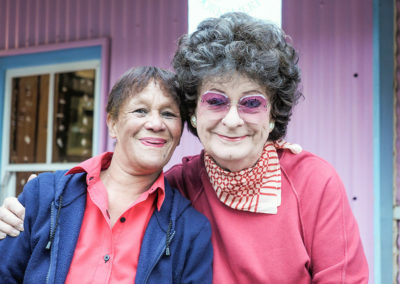 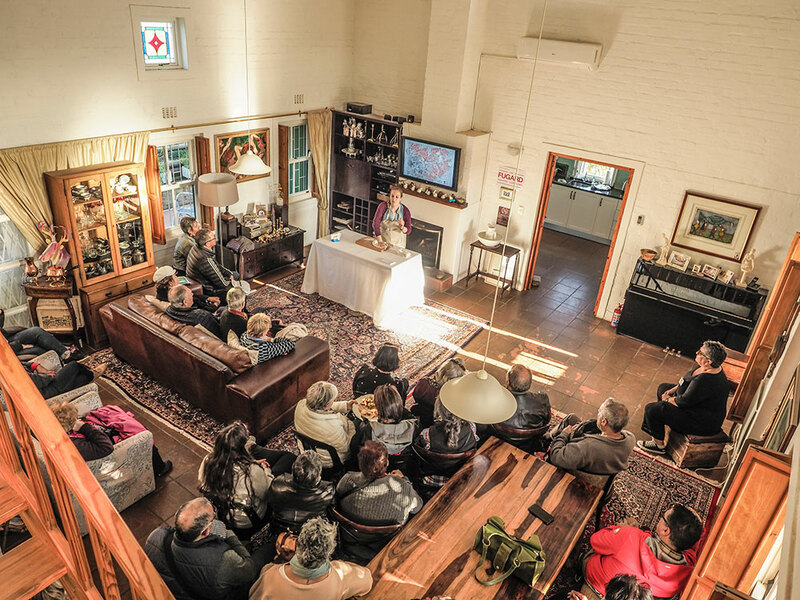 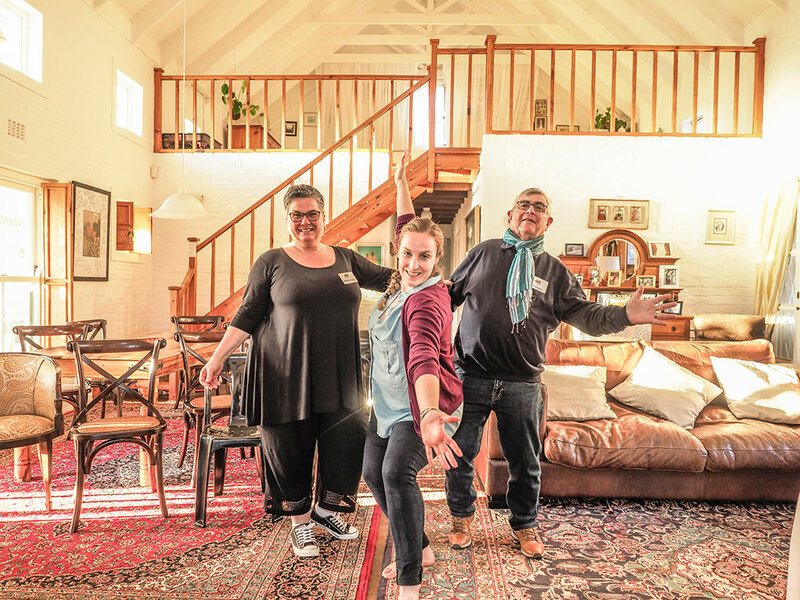 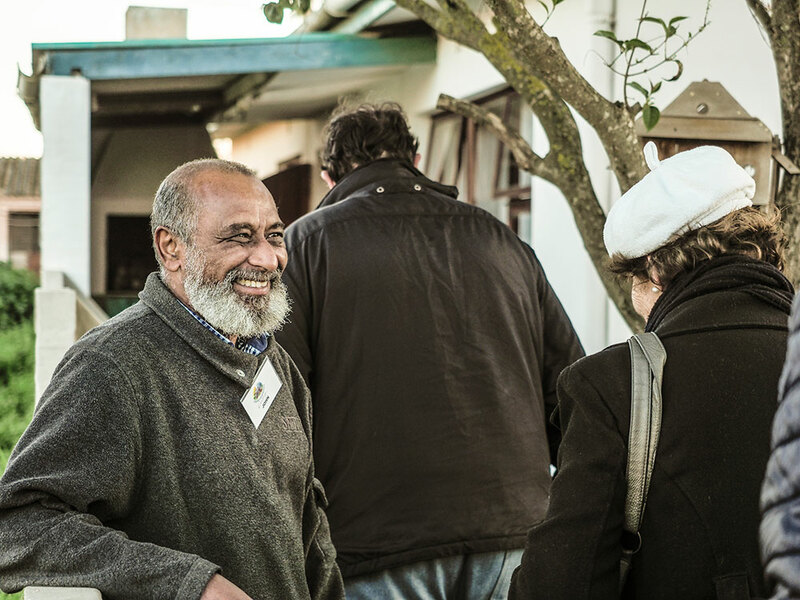 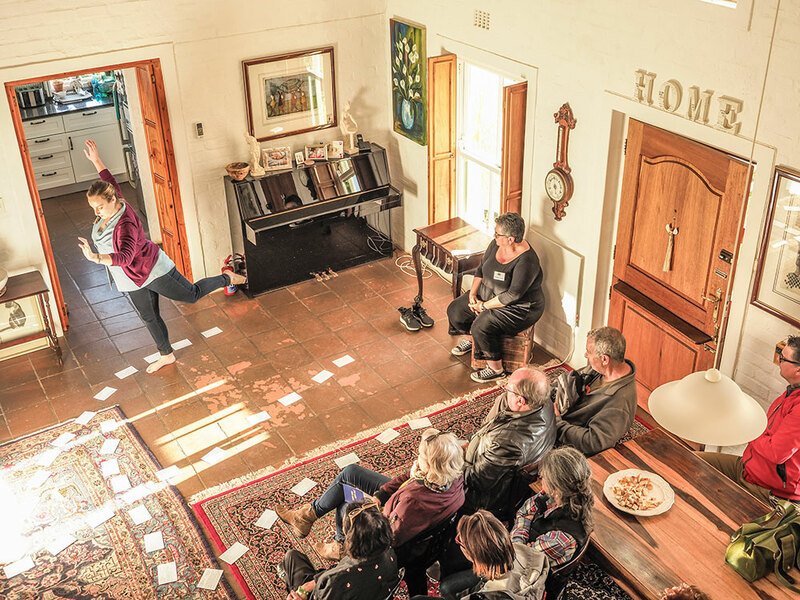 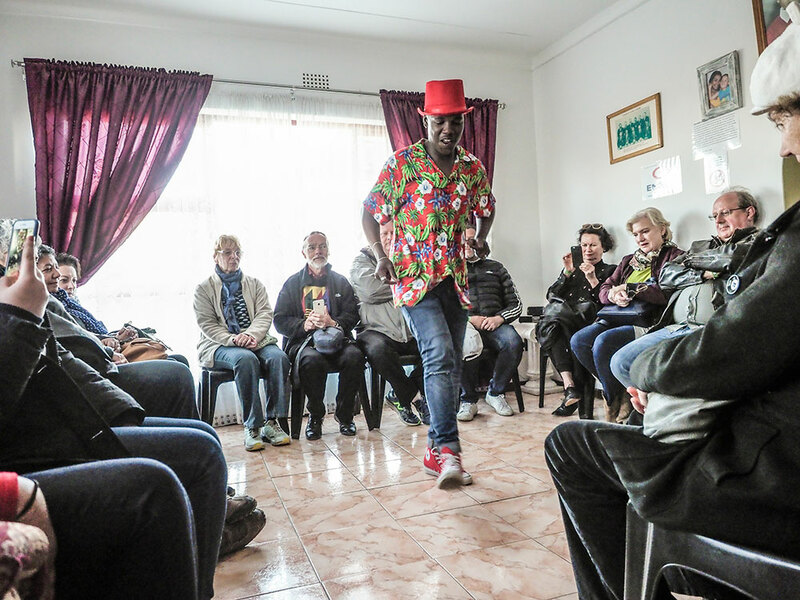 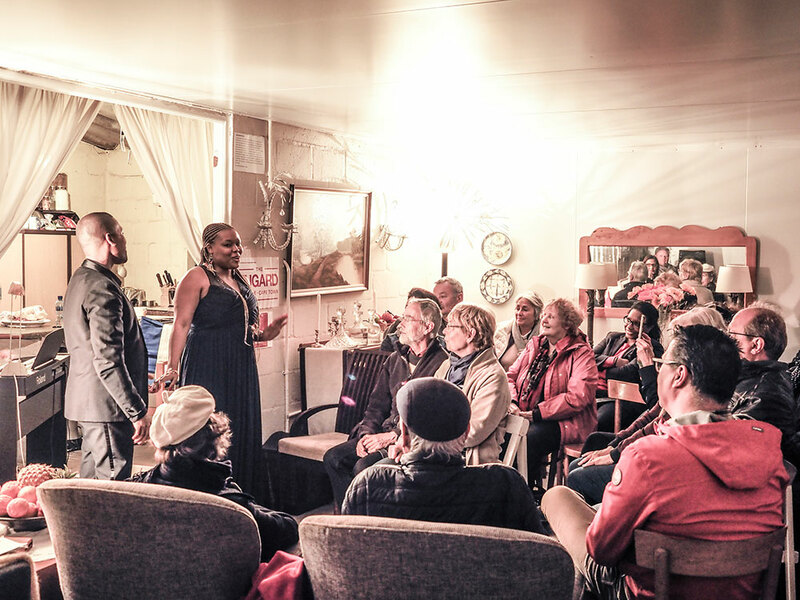 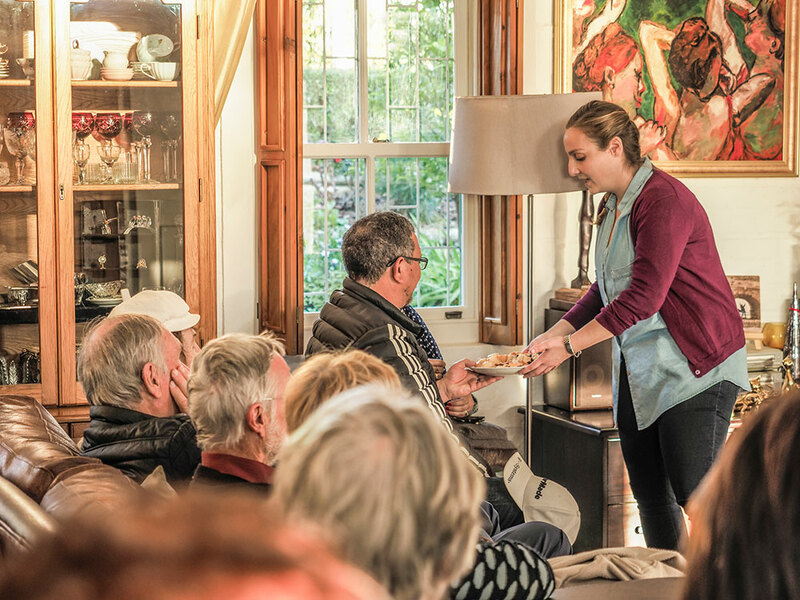 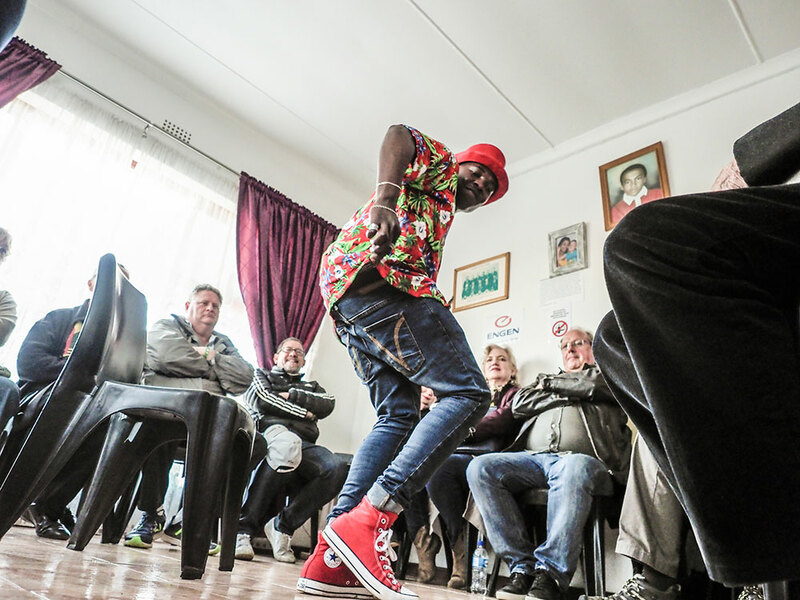 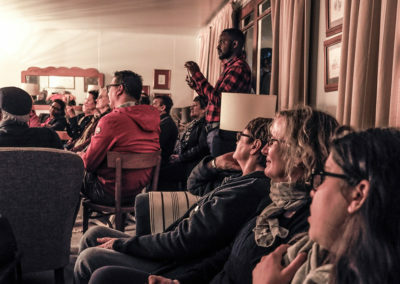 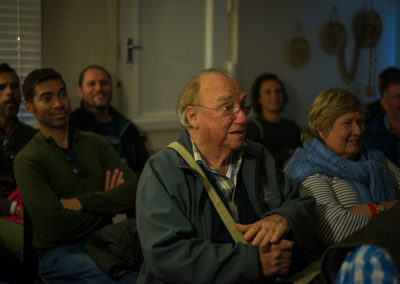 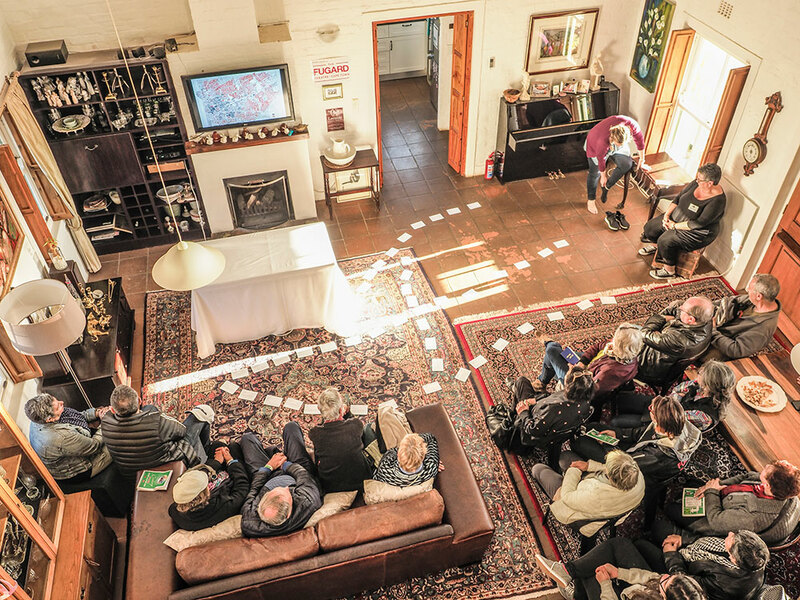 The Voorkamerfest is a festival like no other … where the theatre productions are performed in resident’s homes. 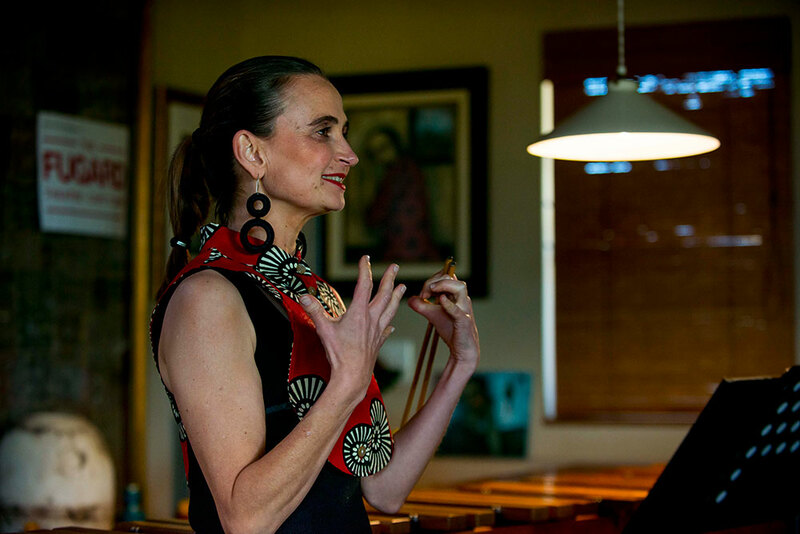 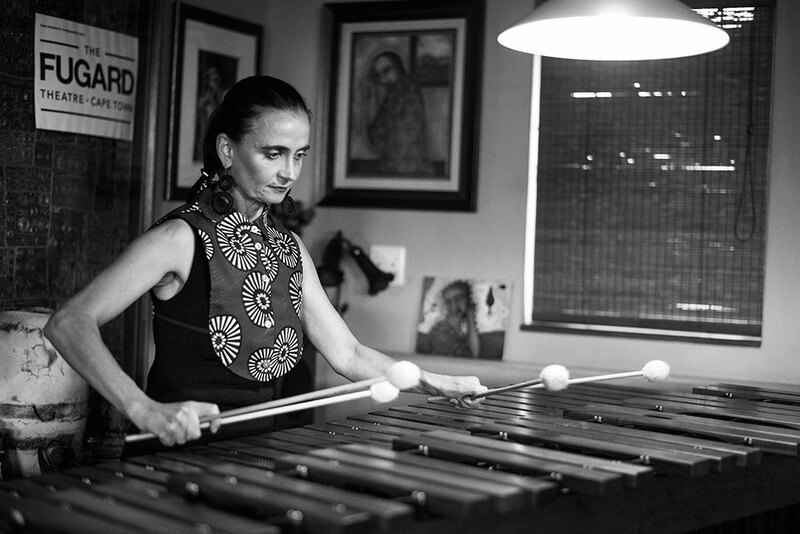 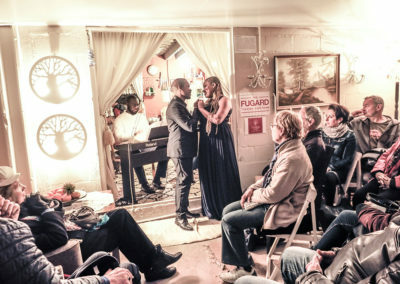 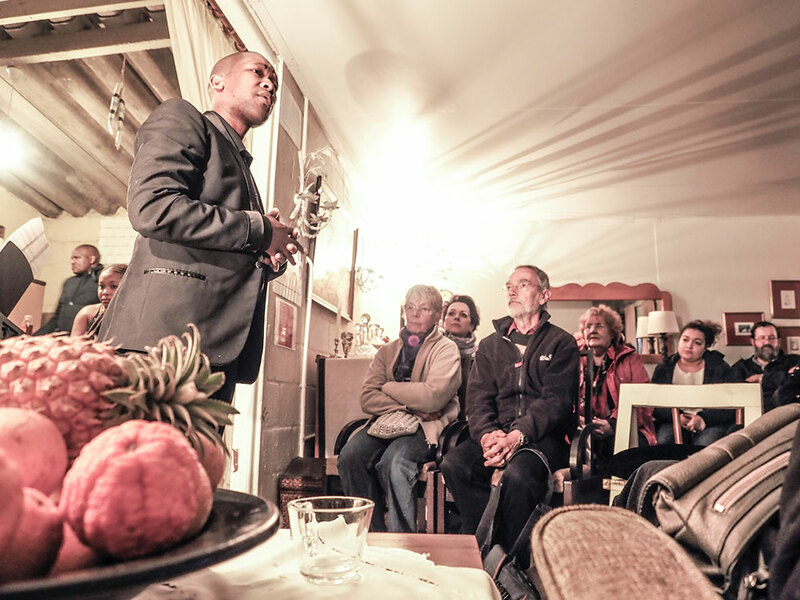 Intimate performances welcoming performers and audience … the hosts proudly open their homes adding true South African hospitality. 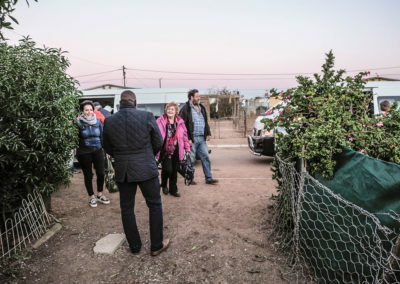 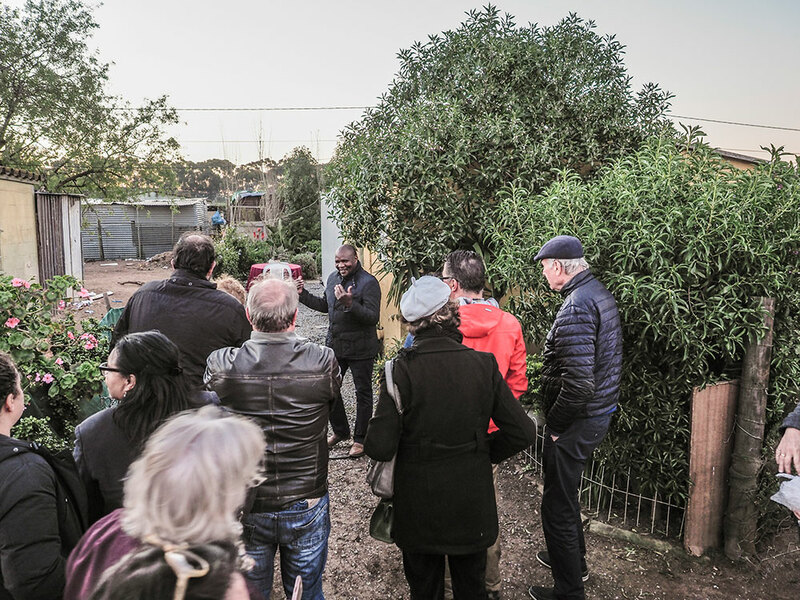 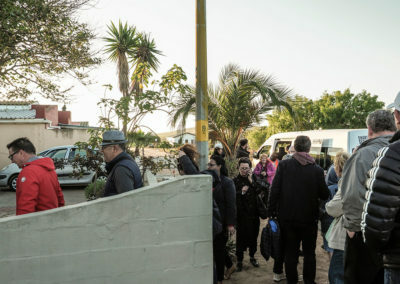 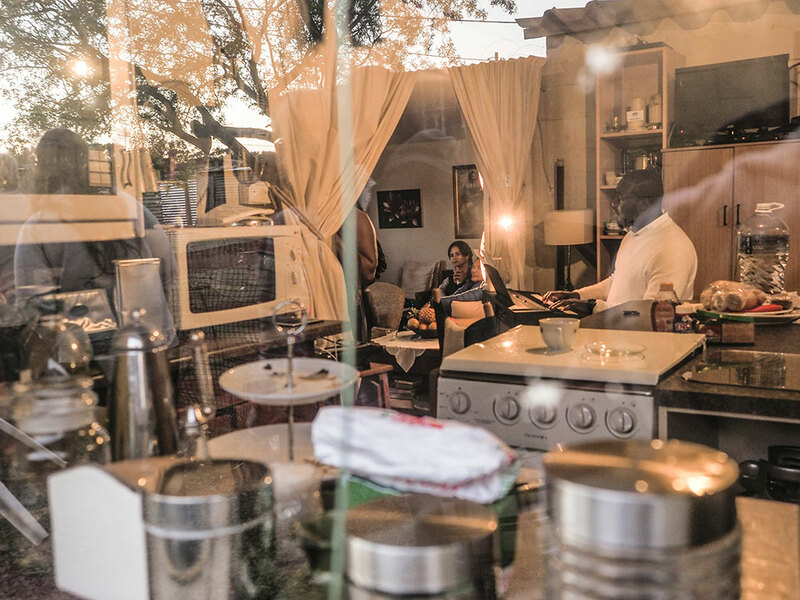 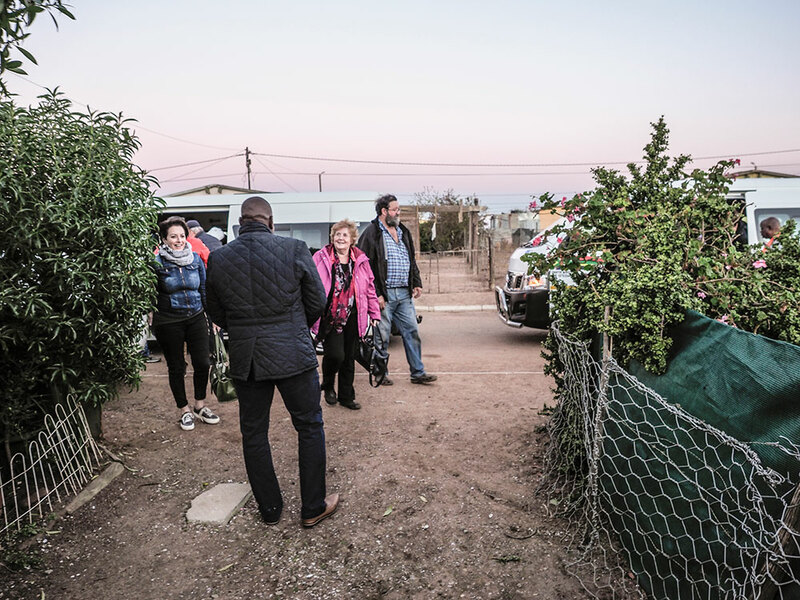 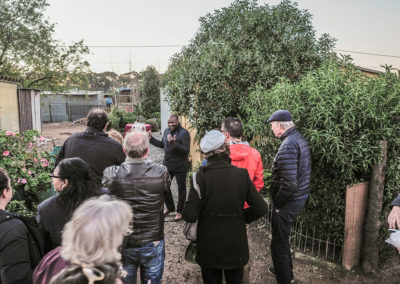 Thanks to a revamped country market, coordinated for the first time by the I Love Yzer/Darling team, locals and visitors alike flocked to Evita se Perron to absorb a true South African and country village spirit. 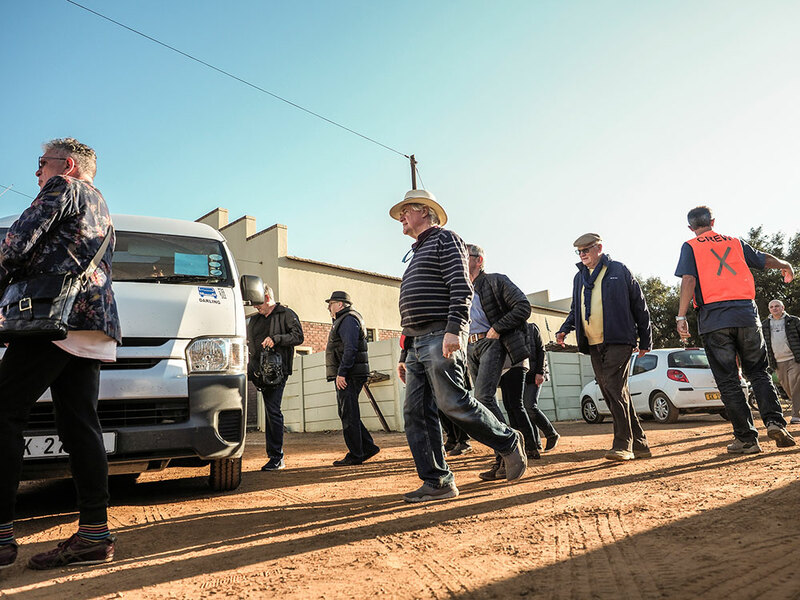 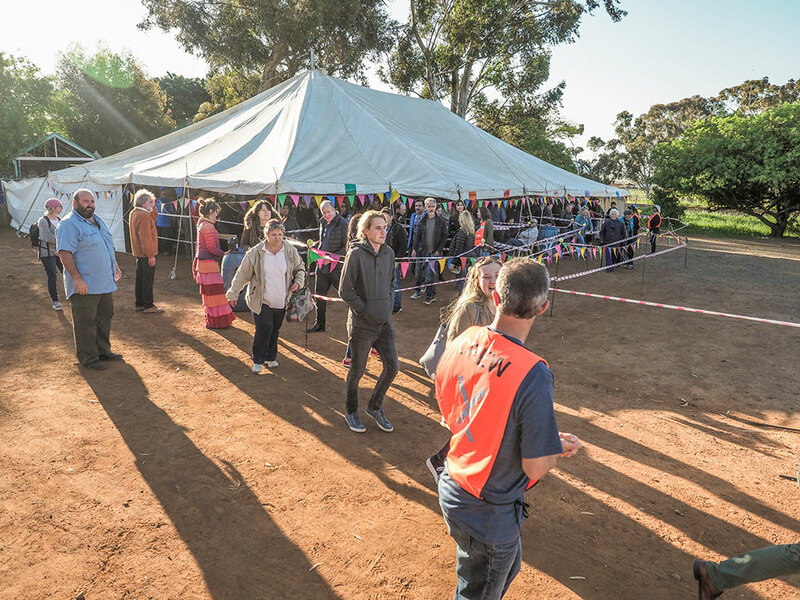 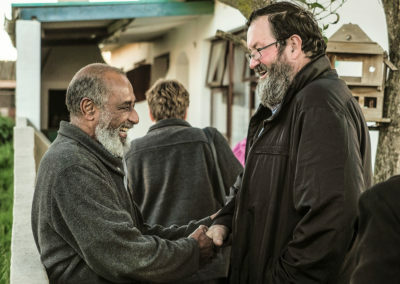 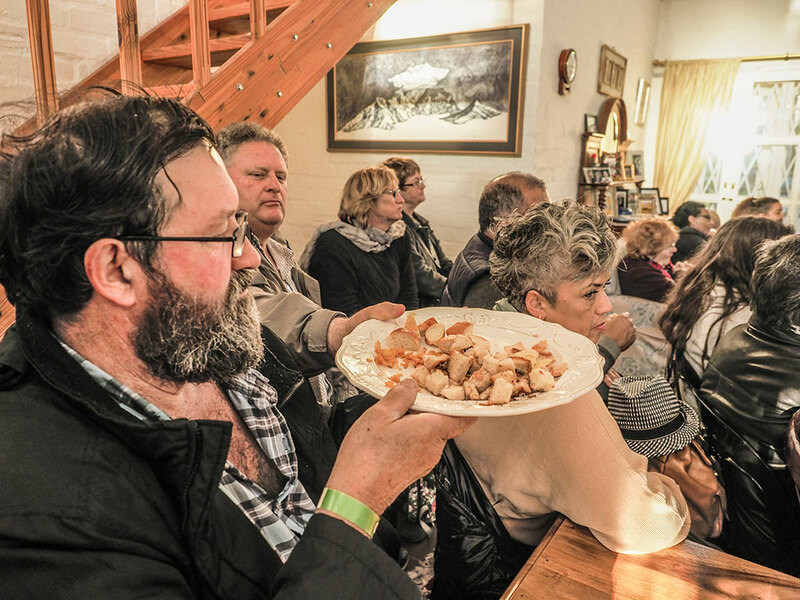 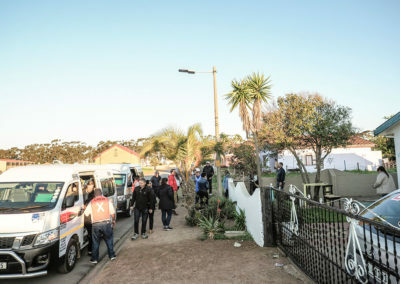 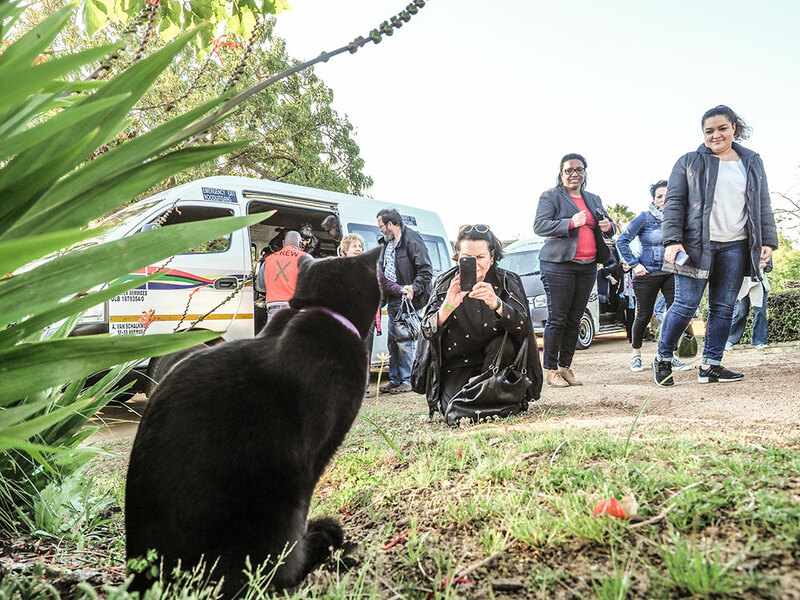 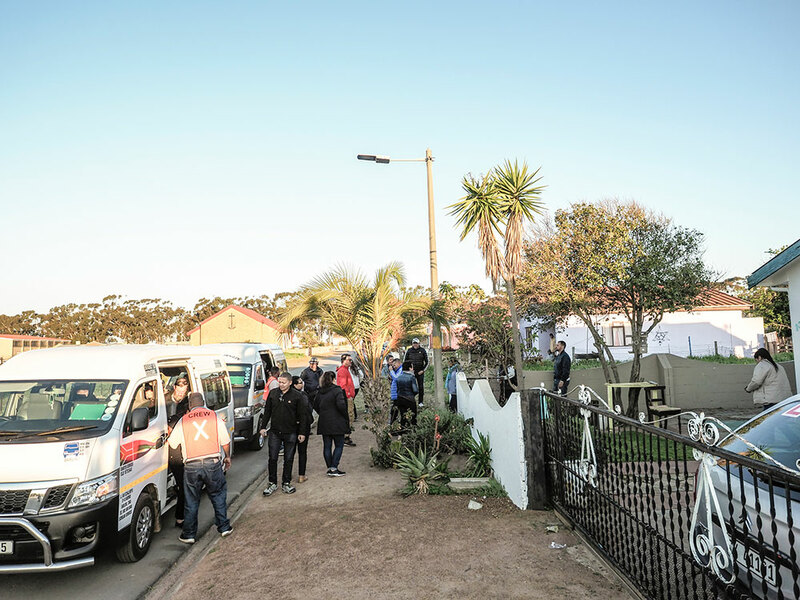 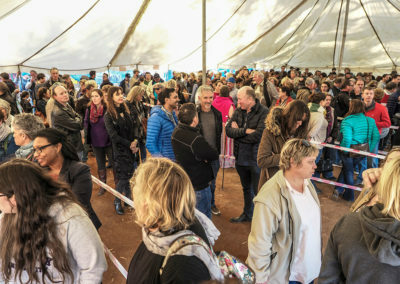 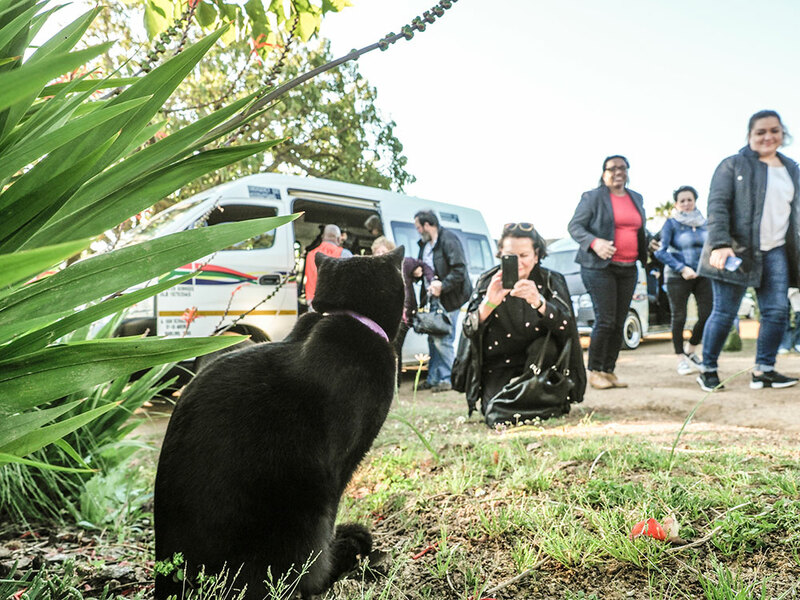 Aside from the fabulously diverse shows and performances the food and market stalls were constantly abuzz, complimenting all that Voorkamerfest brought to Darling after a 2 year break. 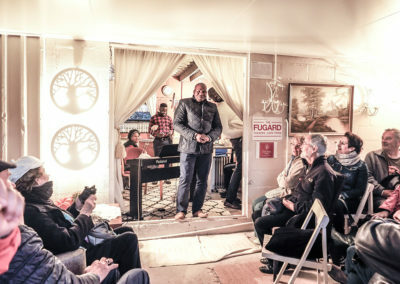 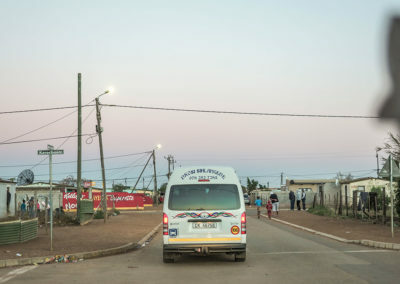 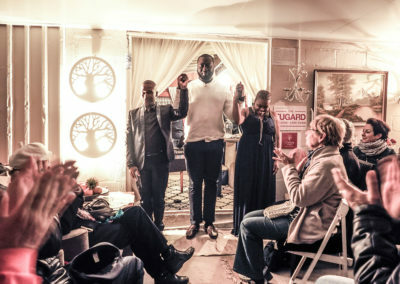 This year the performances comprised various dance acts, guitar and marimba instrumentals, comedy, music, storytelling and magic along with local darling talent shining through the mix… The 15 taxis and their drivers escorted the visitors to their unique theatre venues, equally diverse in variety, scattered throughout the community. 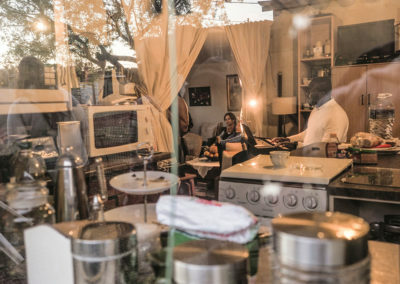 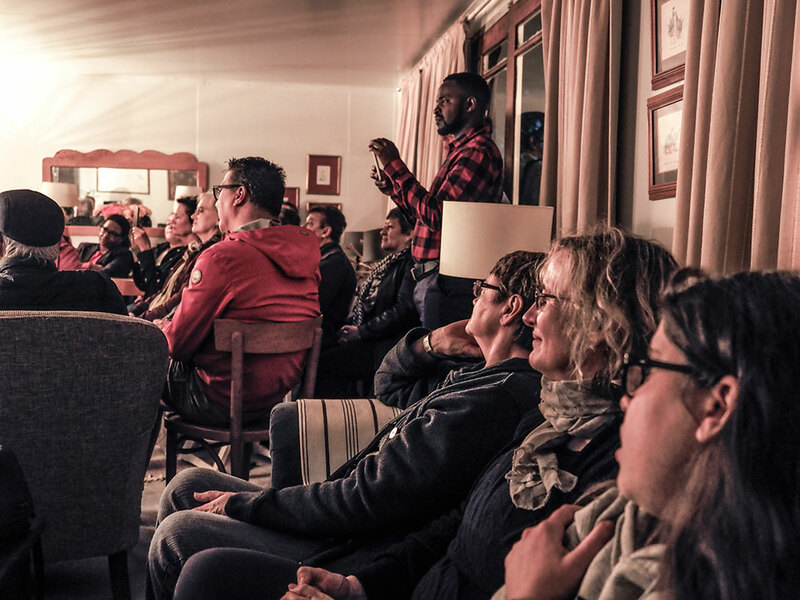 Darling’s Voorkamerfest is unlike any other theatre festival in the world and is heralded as being something that highlights the very best of what is South African. This small west coast village touches many who visit with its laid back, friendly atmosphere. 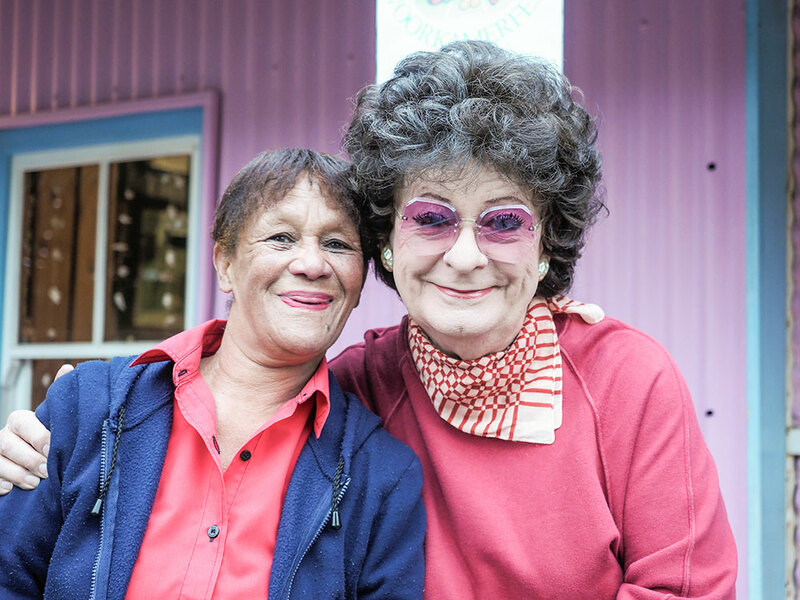 Many, including the legendary satirist Pieter-Dirk Uys have fallen in love with the hamlet and never left! 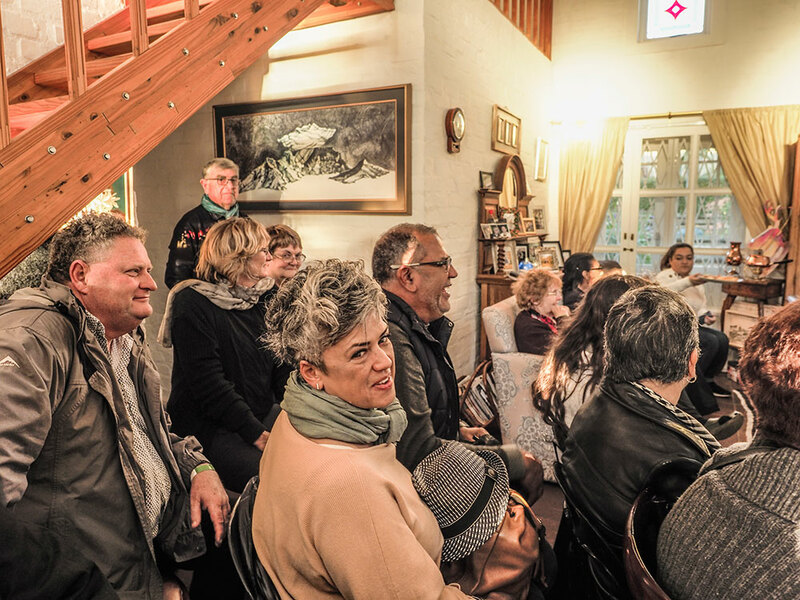 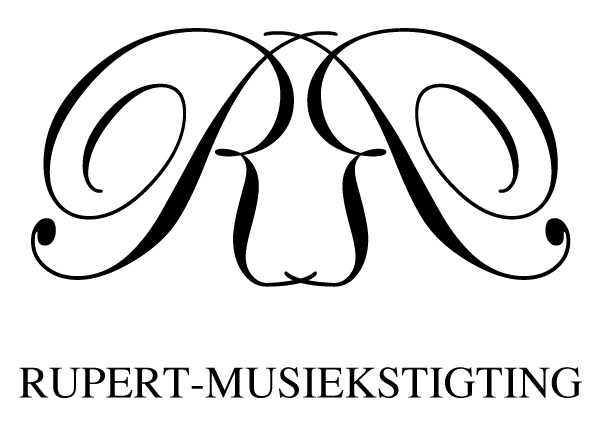 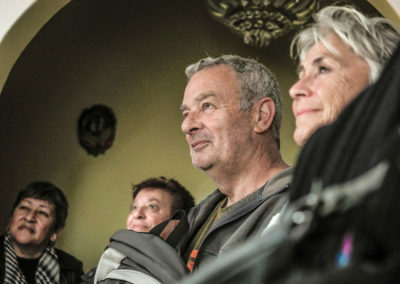 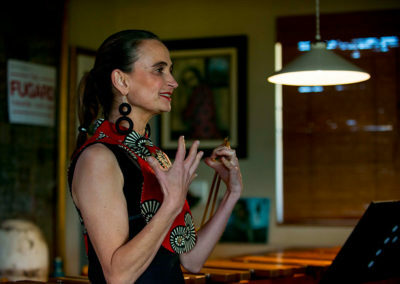 Pieter-Dirk’s motivation is integral to the success of this festival…also as patron of The Darling Trust …. 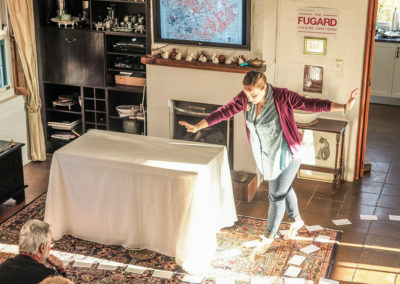 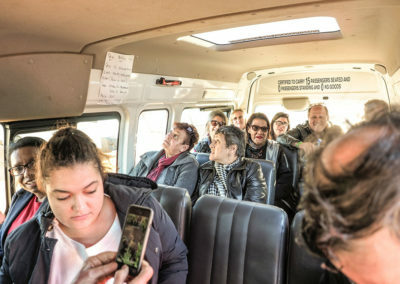 Which receives a portion of ticket sales for its projects. 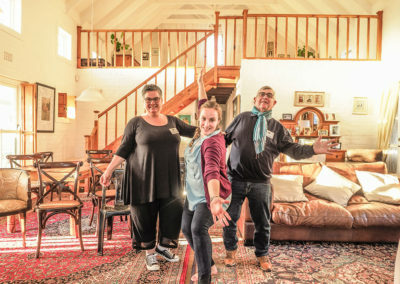 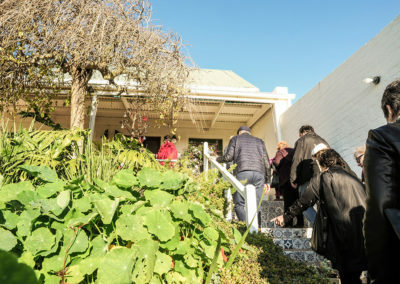 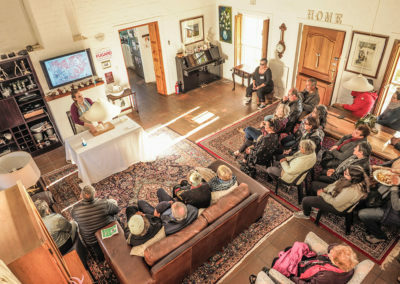 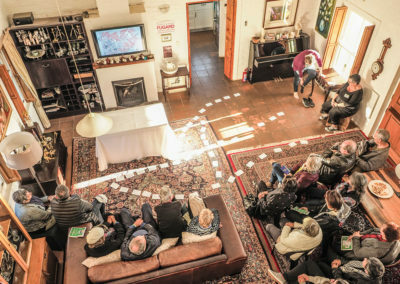 Each year the village comes together and 21 home owners throughout Darling volunteer their homes to host the theatre productions. 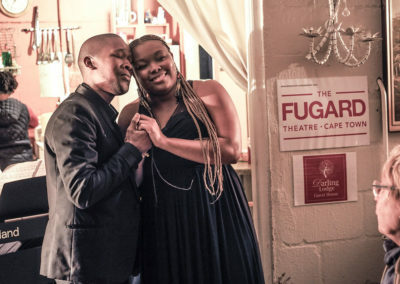 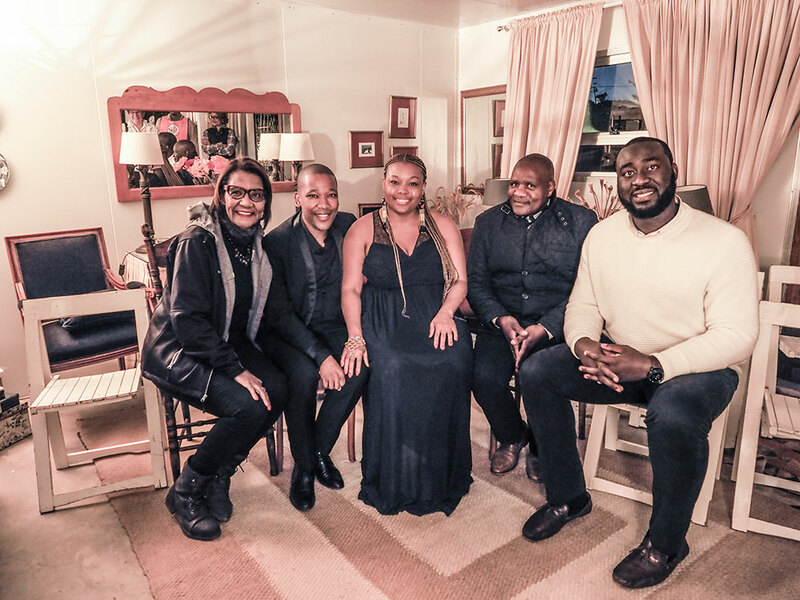 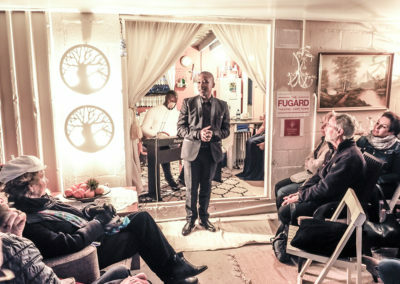 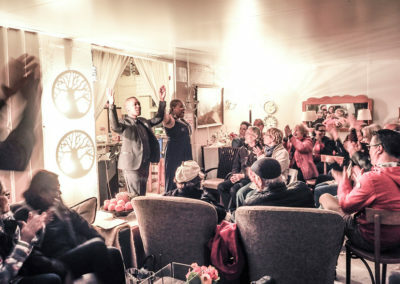 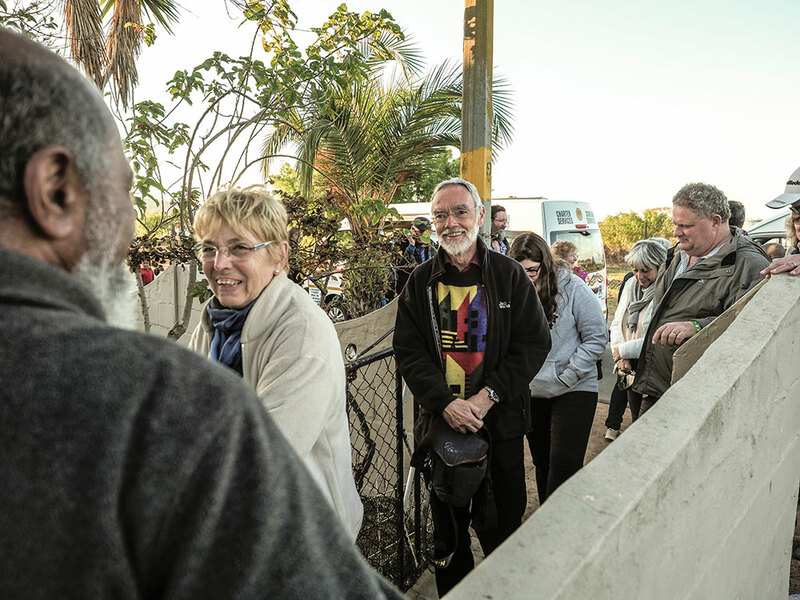 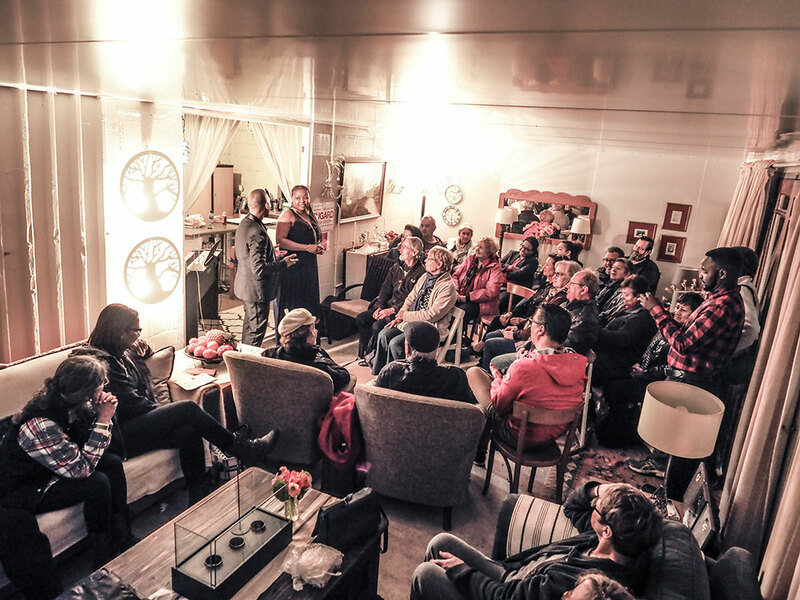 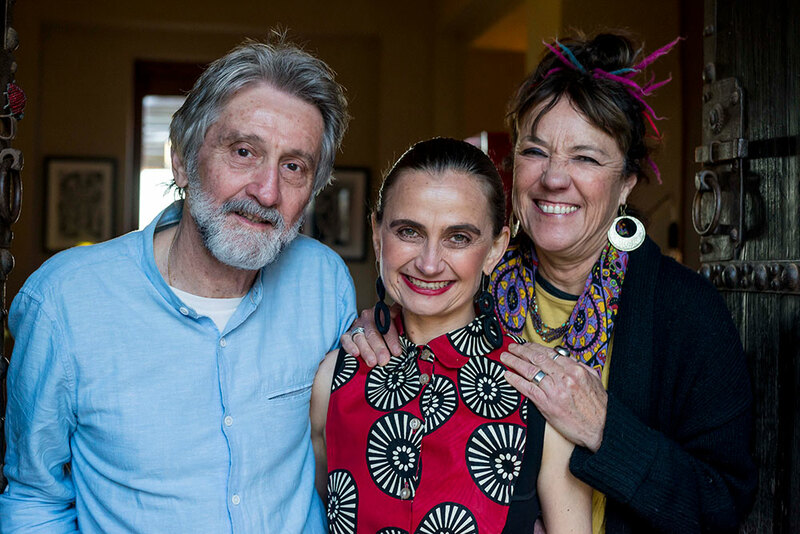 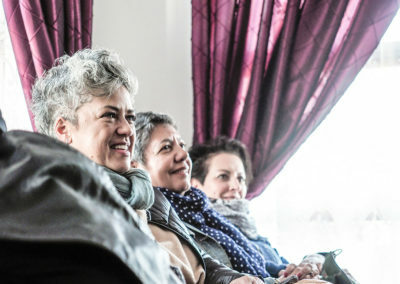 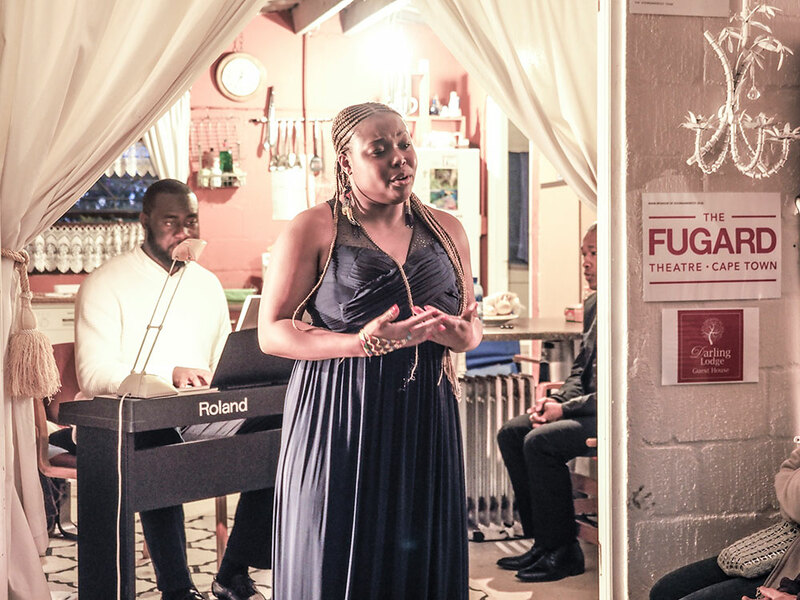 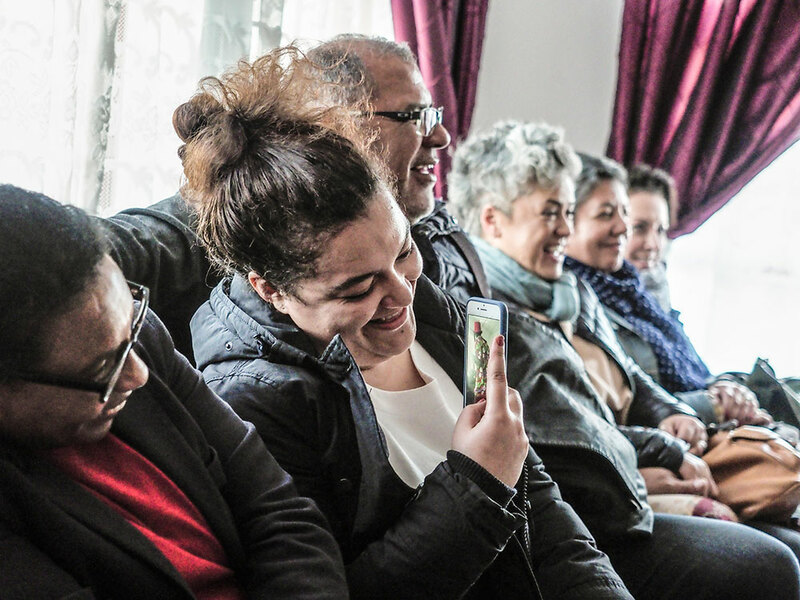 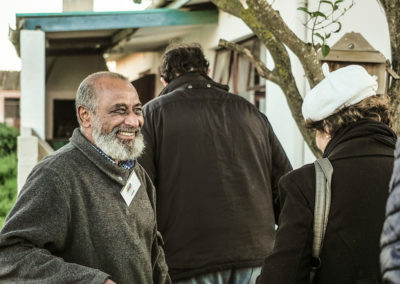 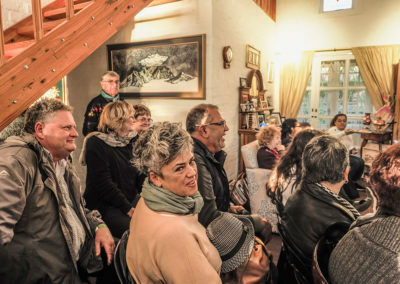 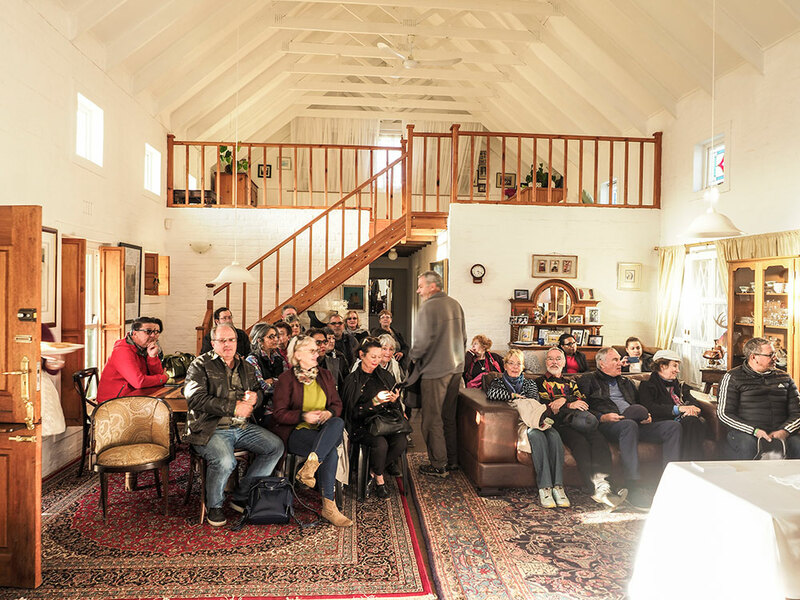 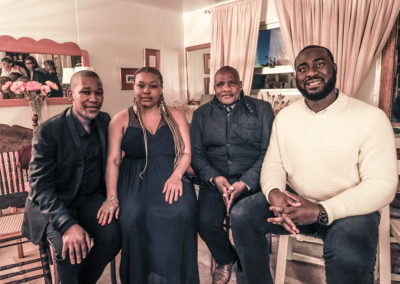 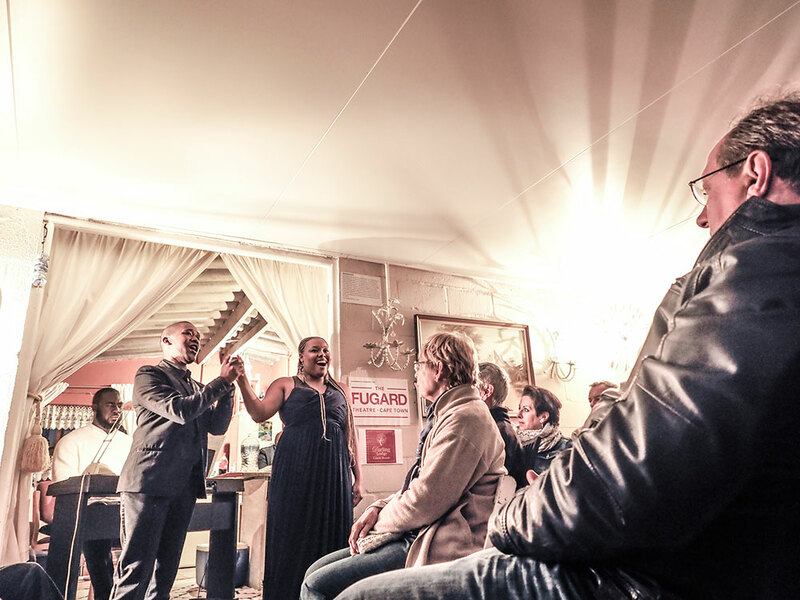 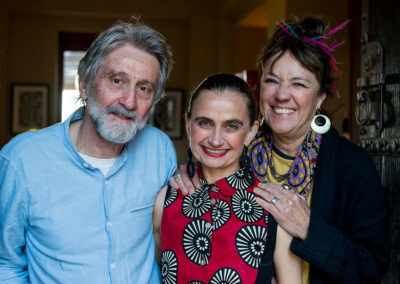 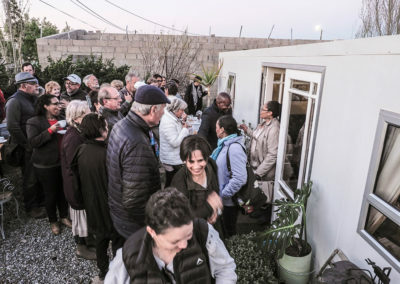 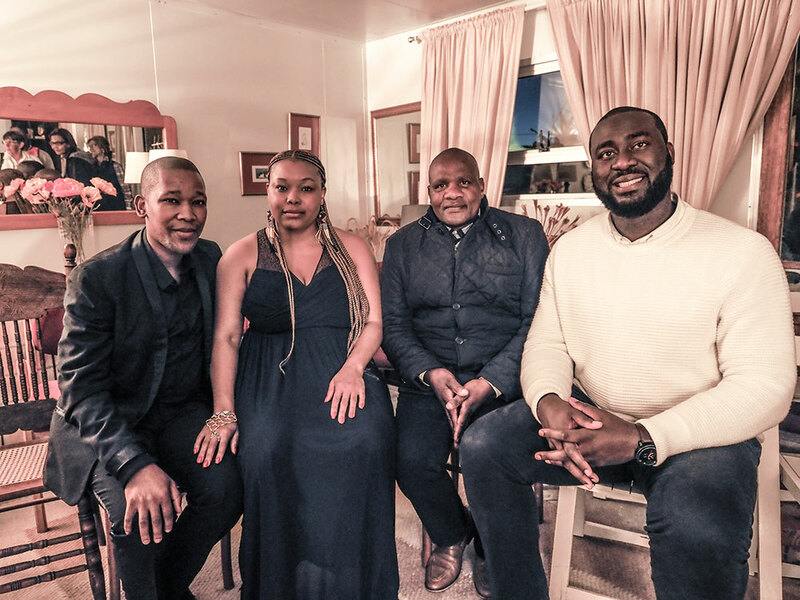 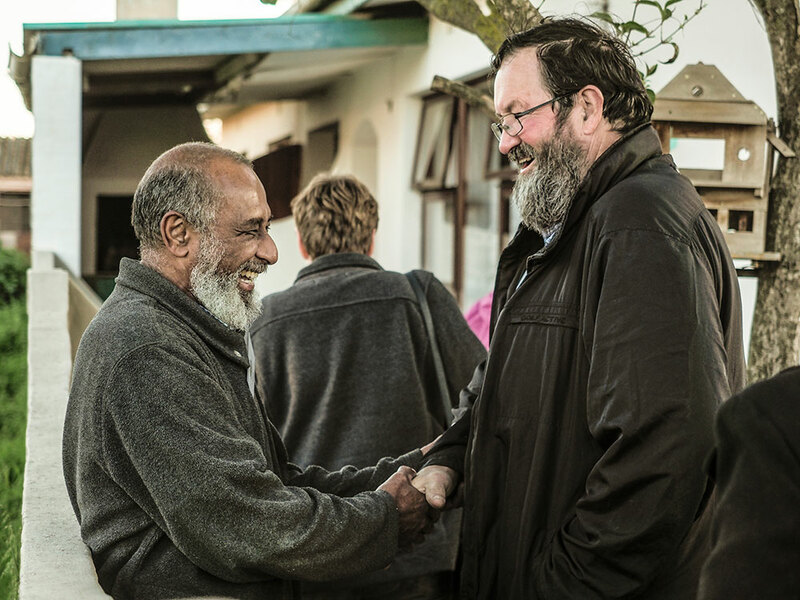 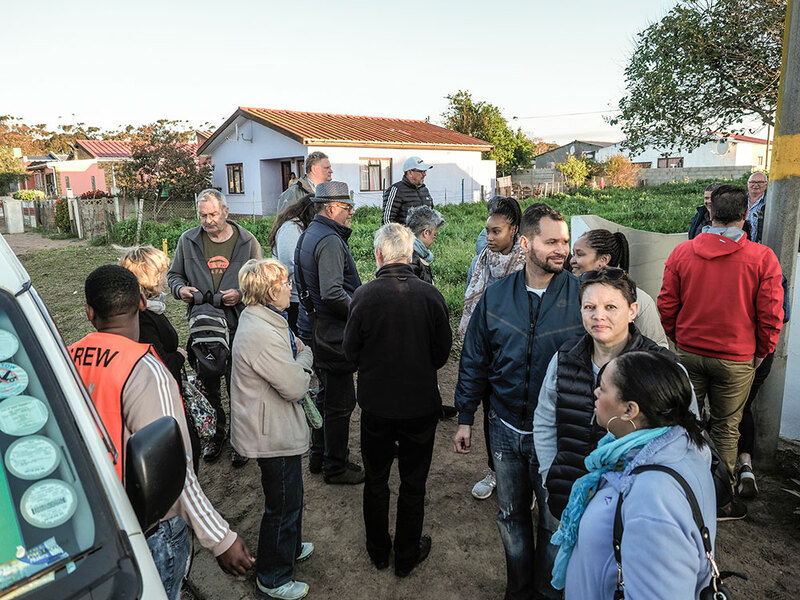 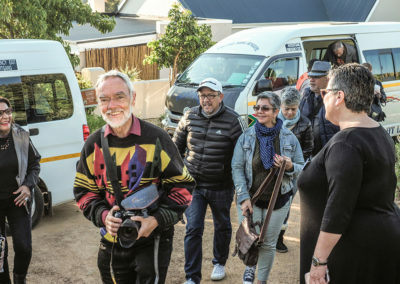 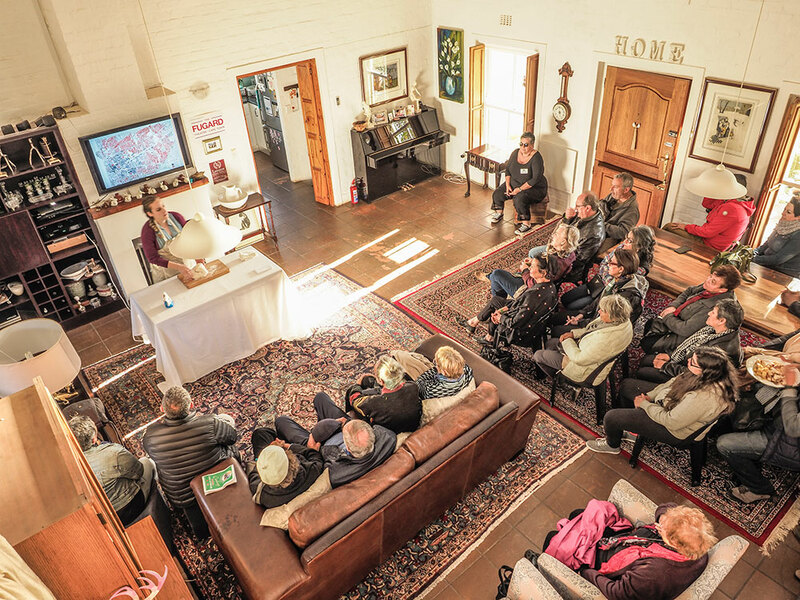 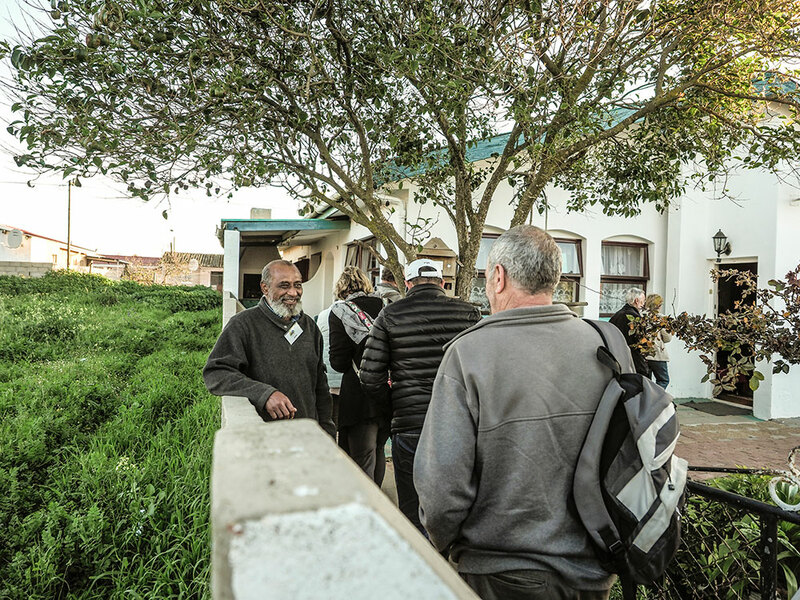 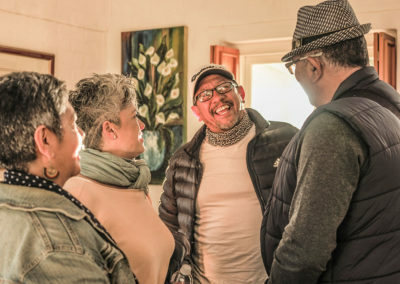 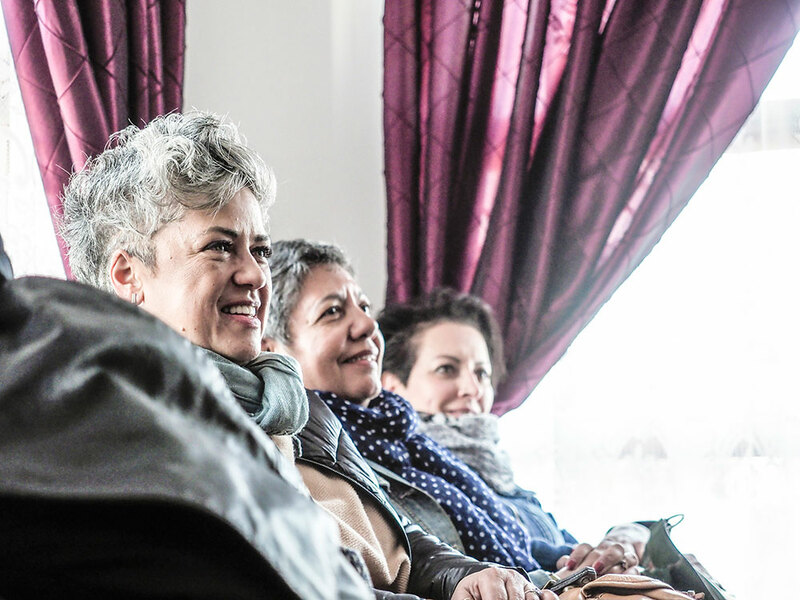 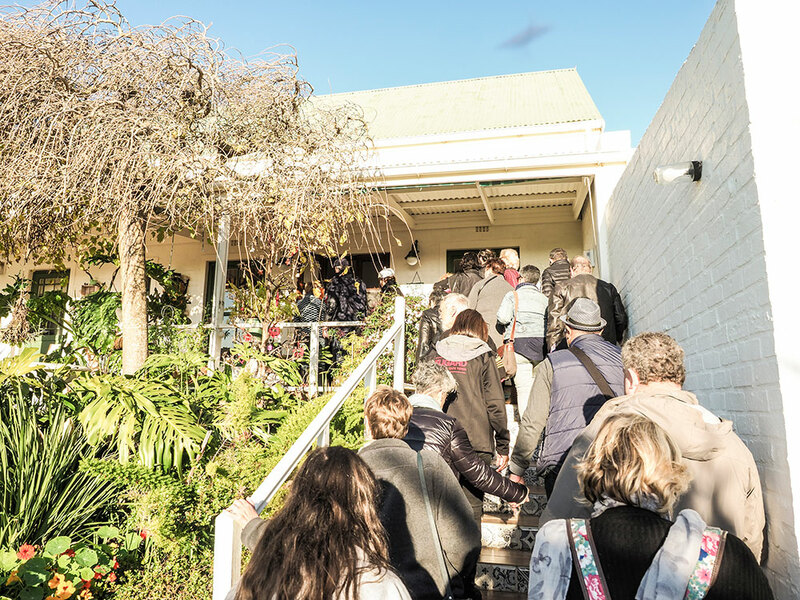 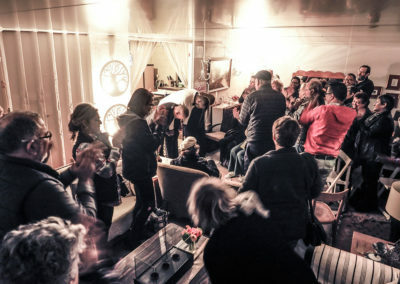 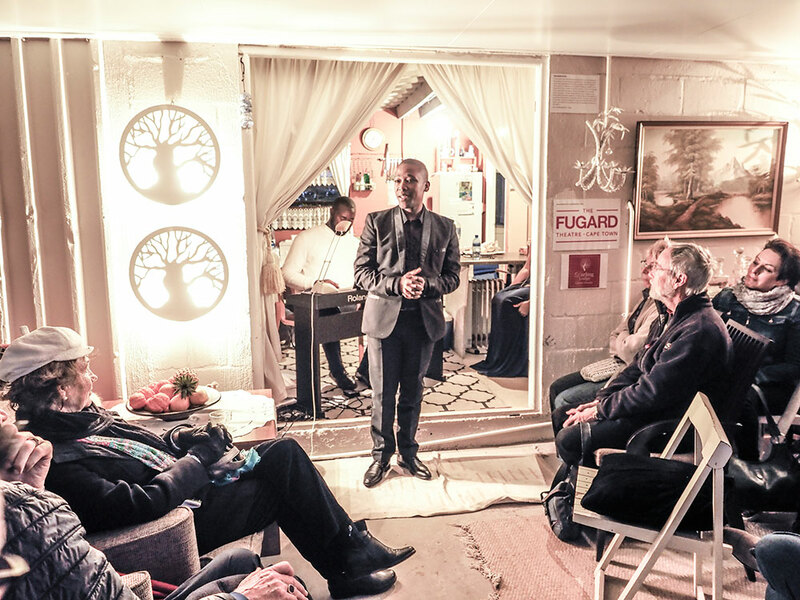 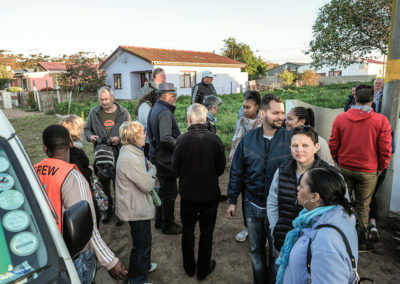 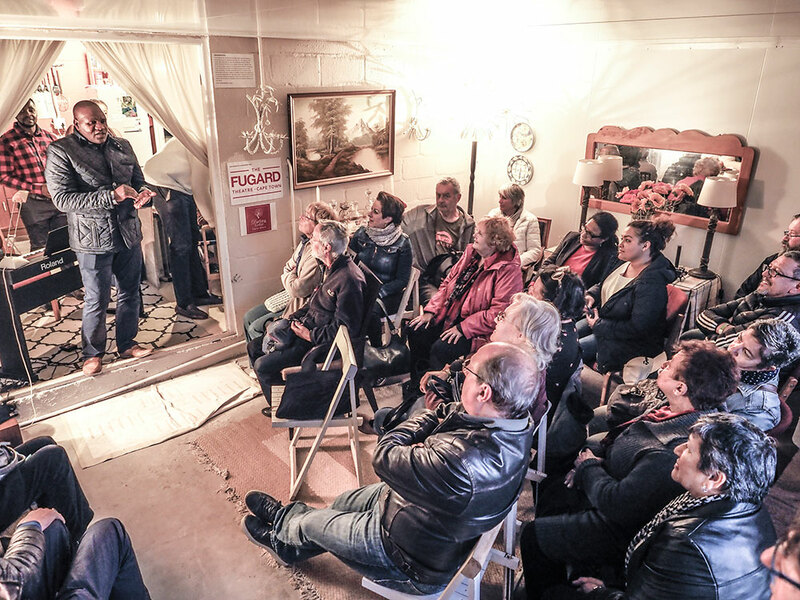 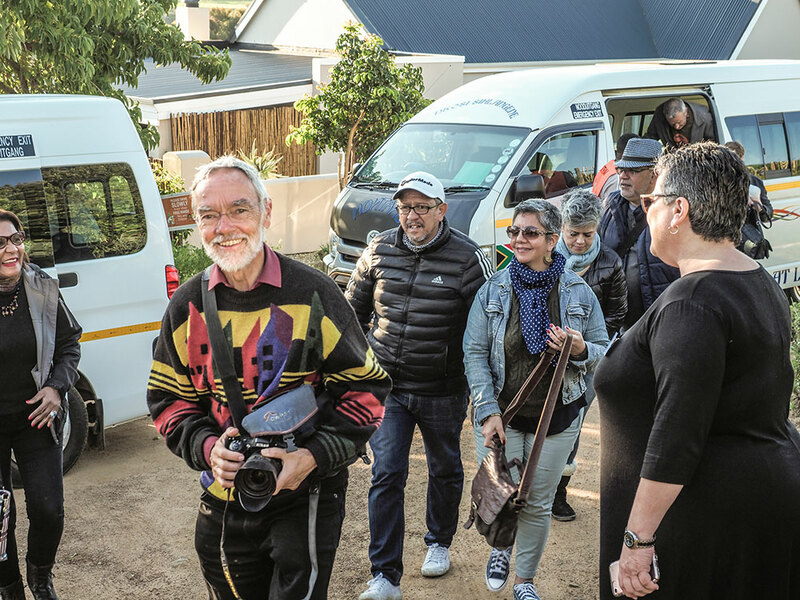 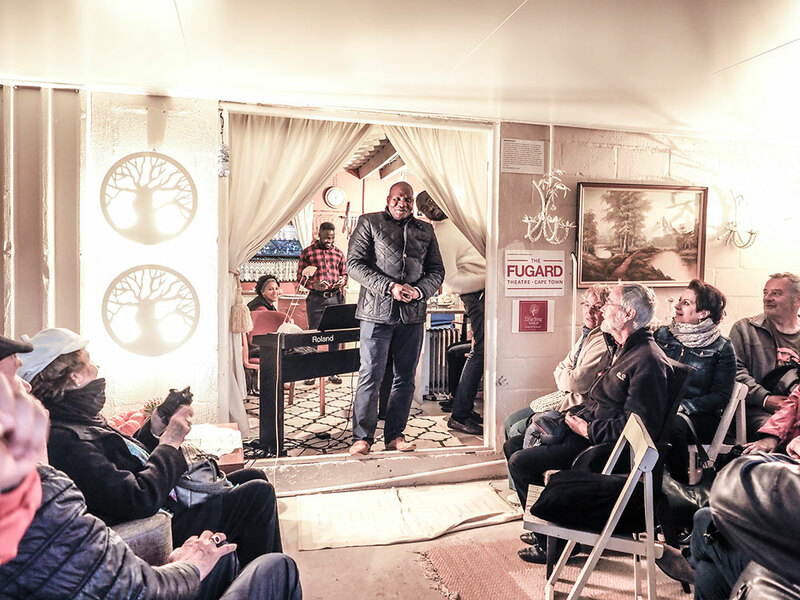 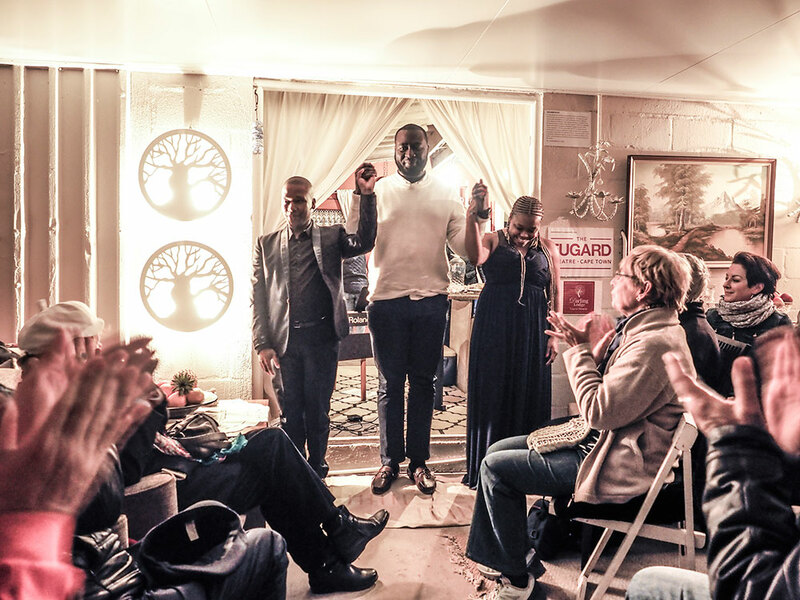 This year was no different – a warm Darling welcome was guaranteed at each location… this is the charm and secret ingredient of The Voorkamerfest – the coming together and sharing of live theatre performances under the umbrella of the arts…. 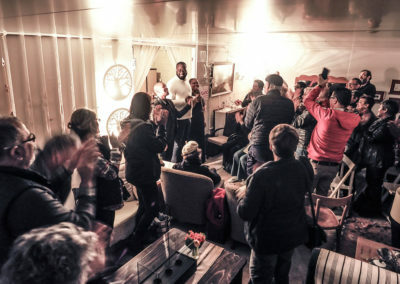 thanks to every 2018 performer. 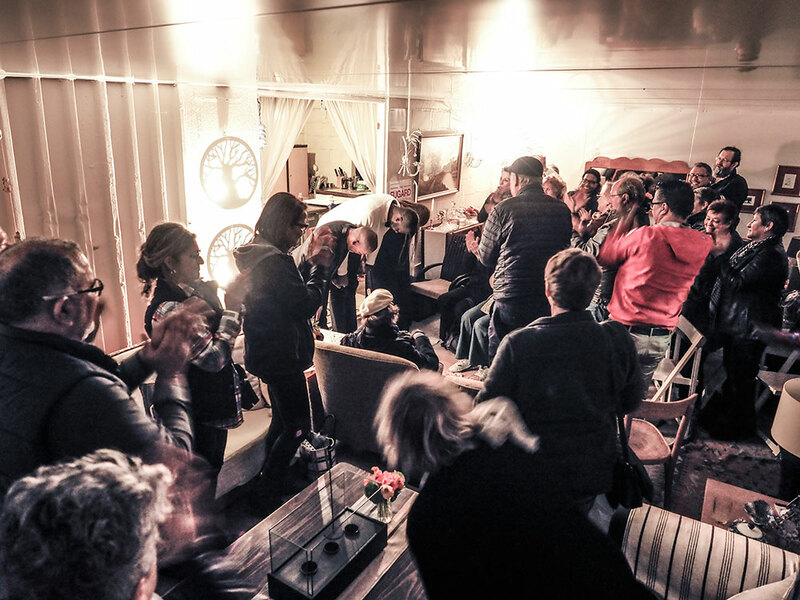 The mechanics of the festival is equally astounding! 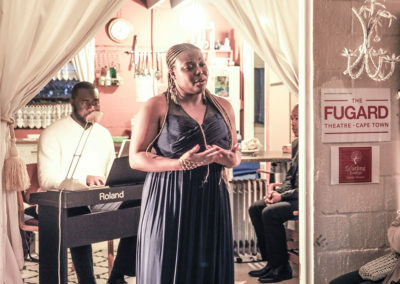 You never know which productions you will see until you have arrived! 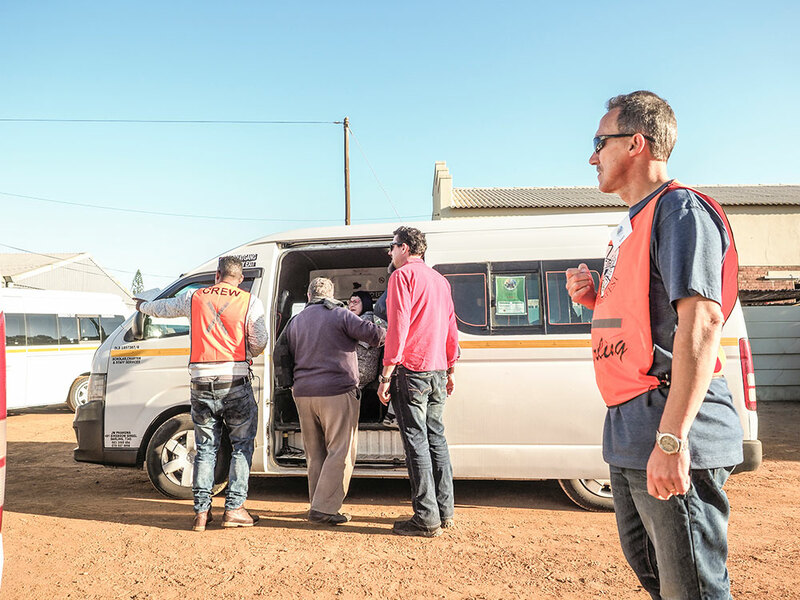 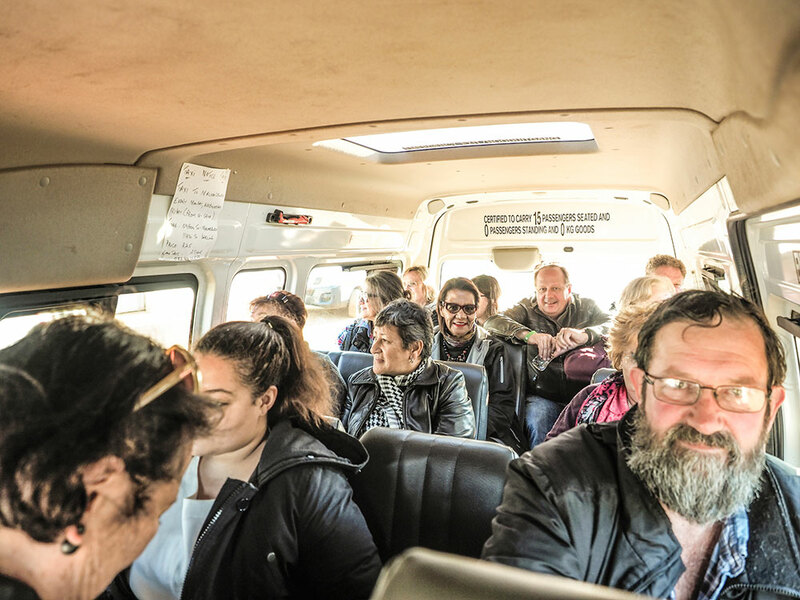 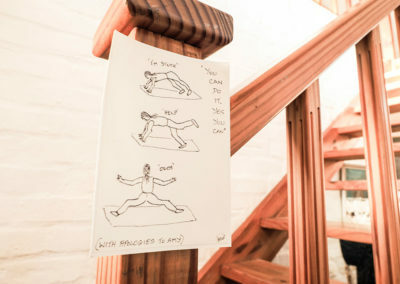 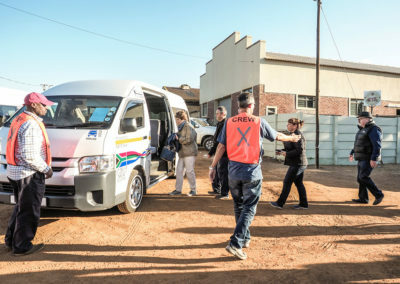 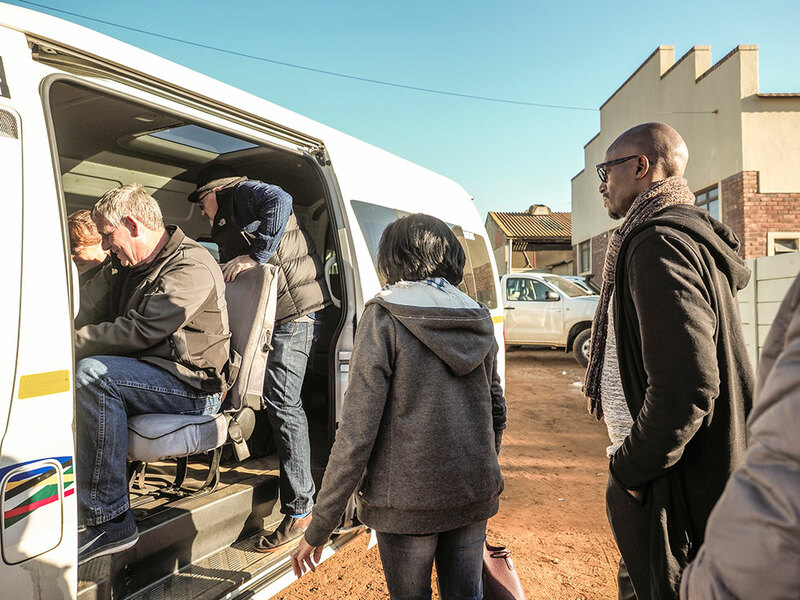 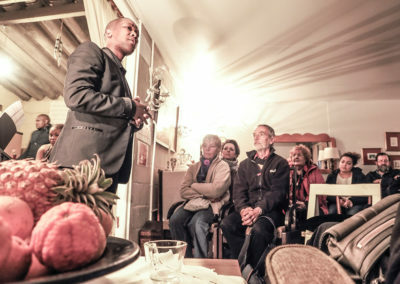 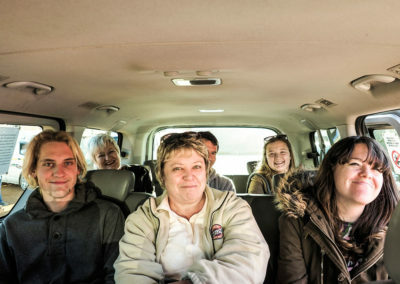 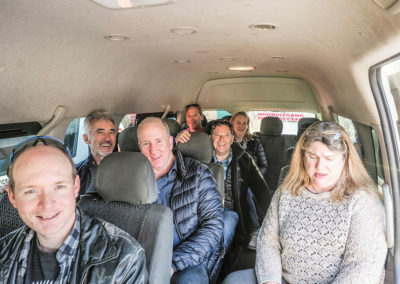 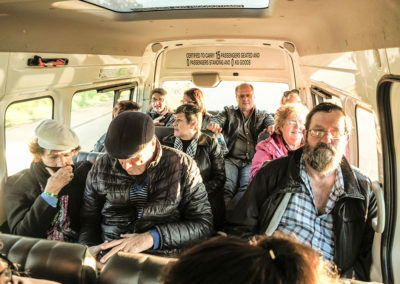 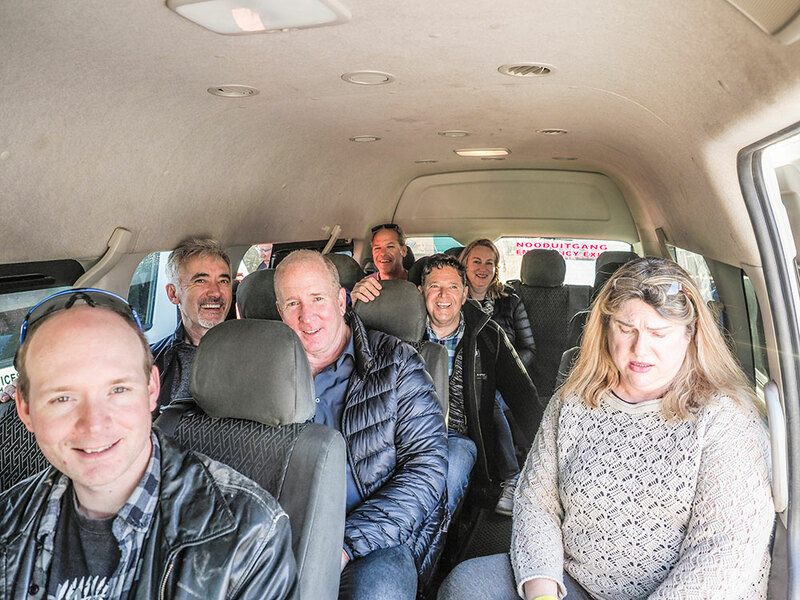 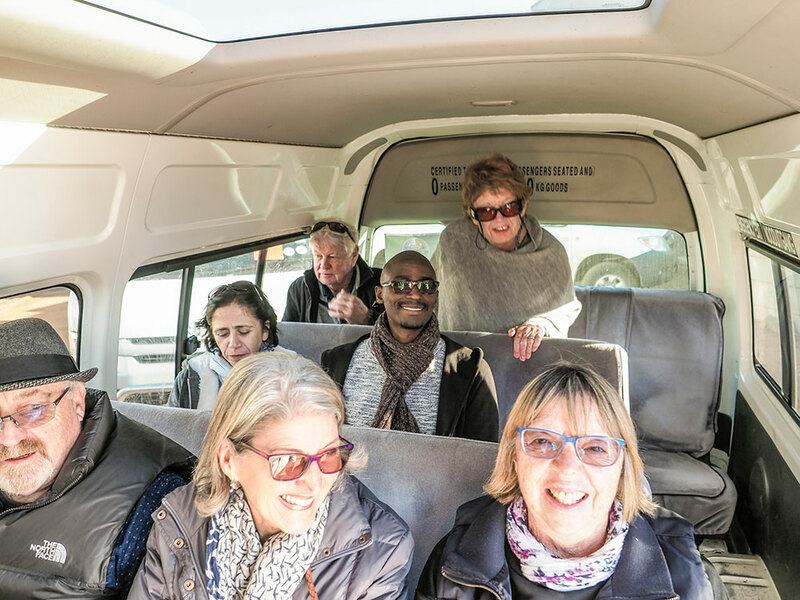 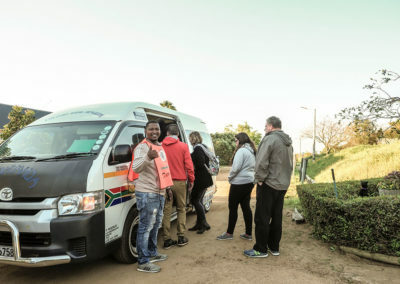 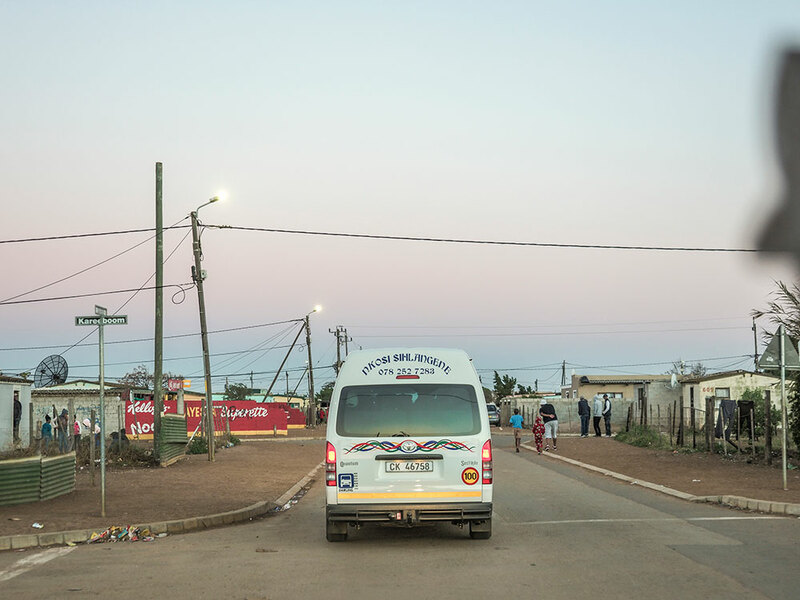 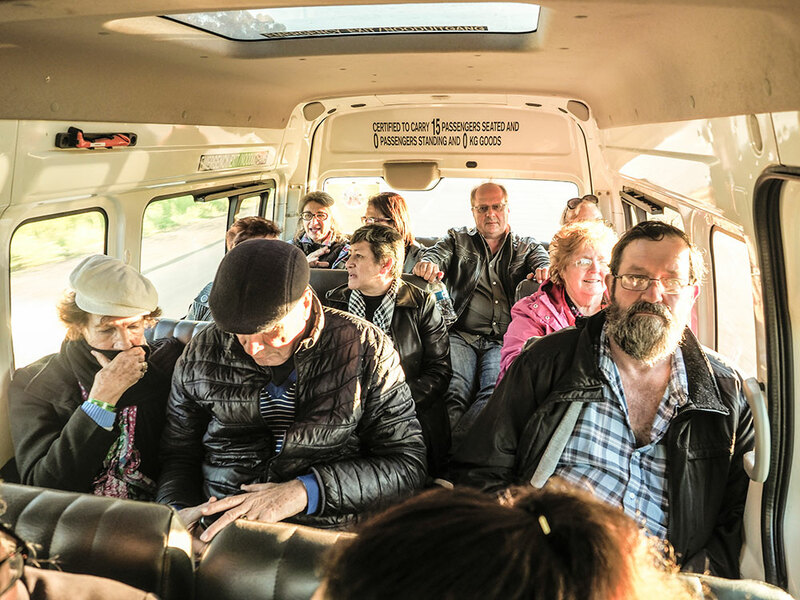 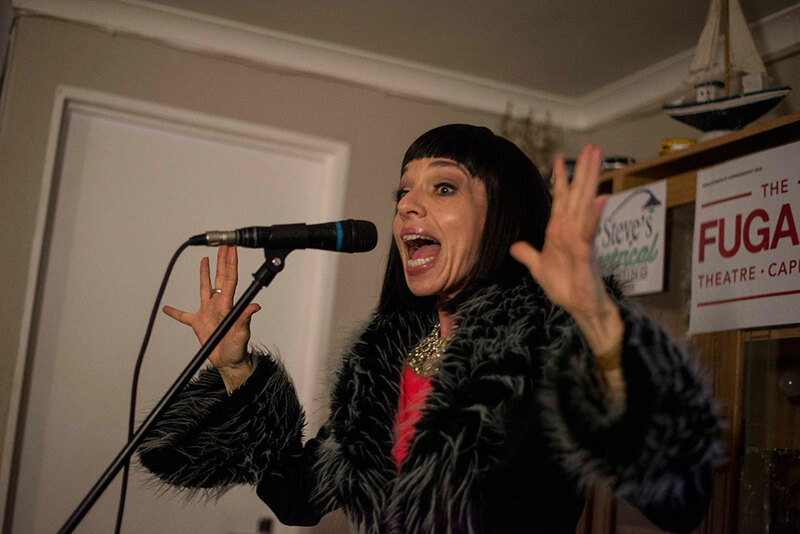 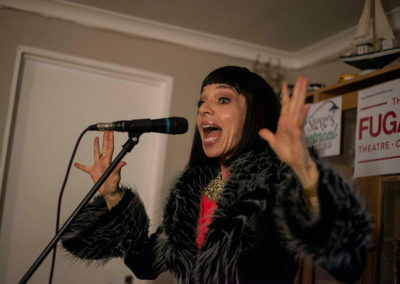 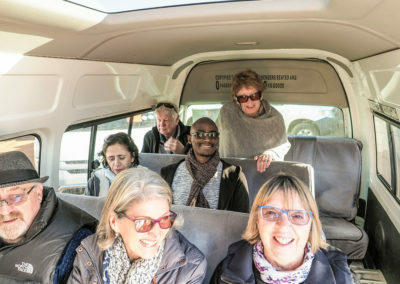 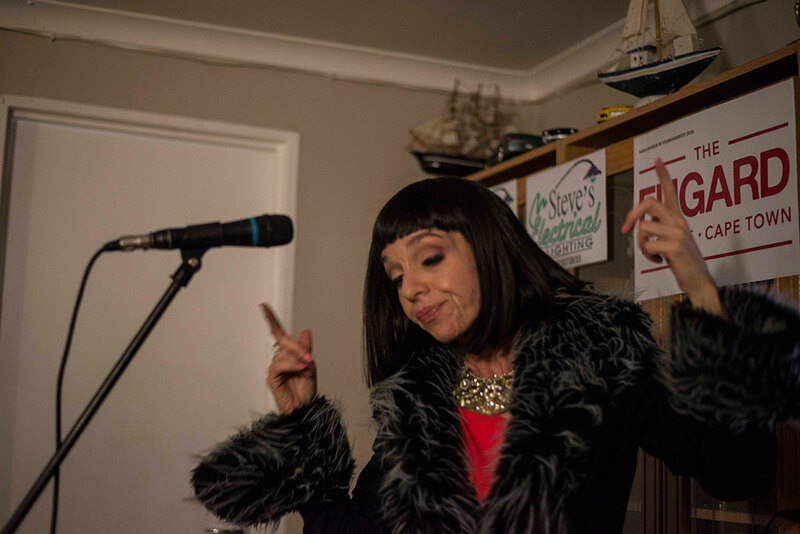 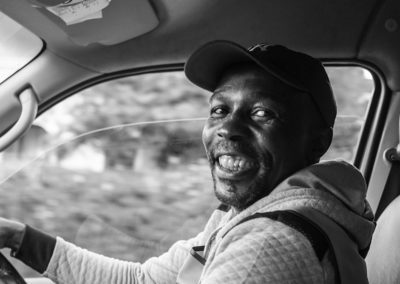 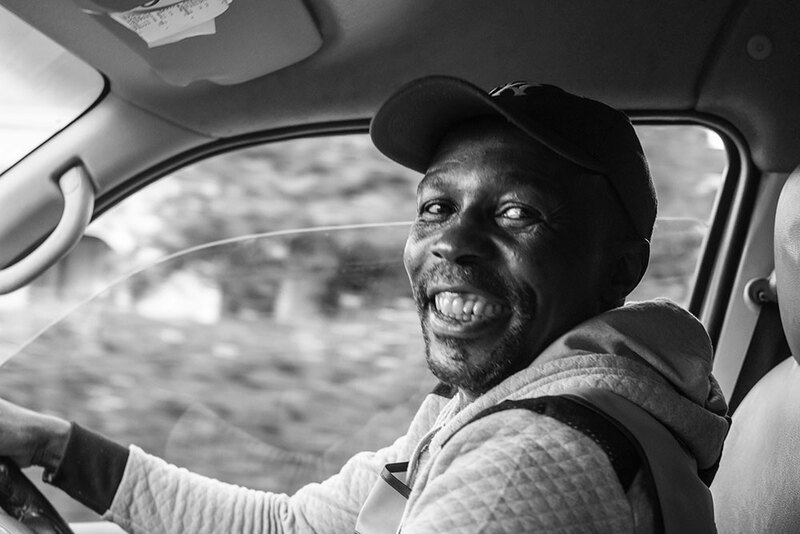 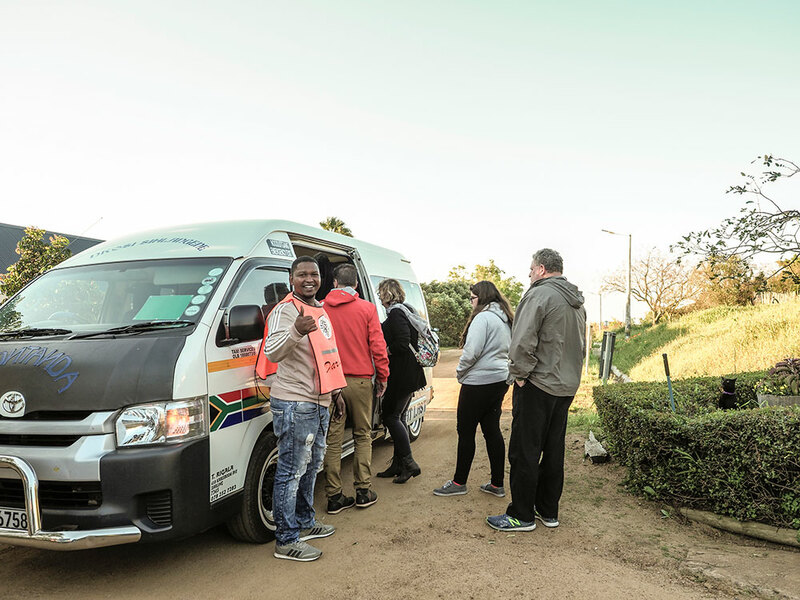 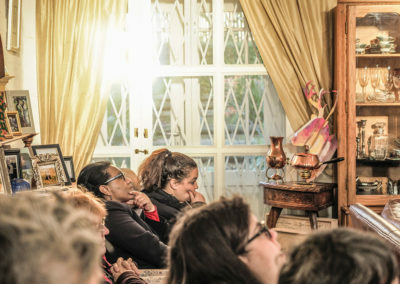 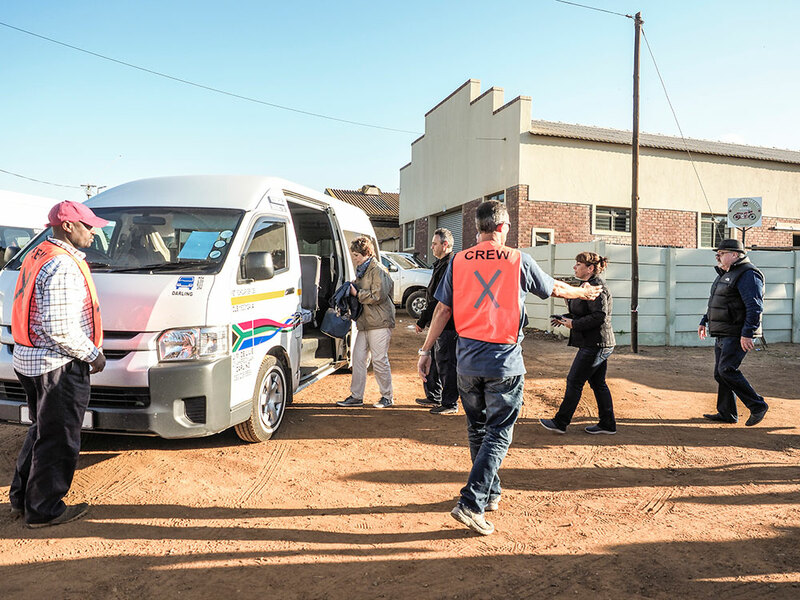 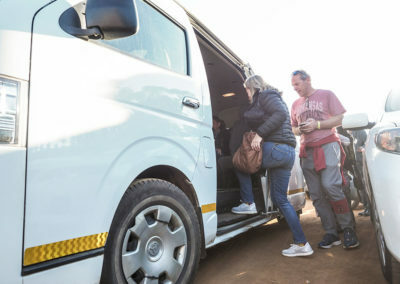 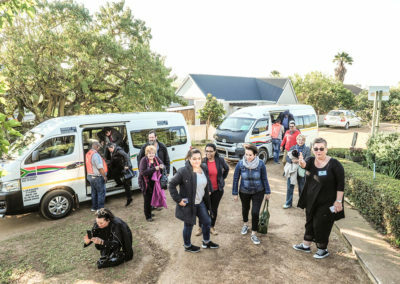 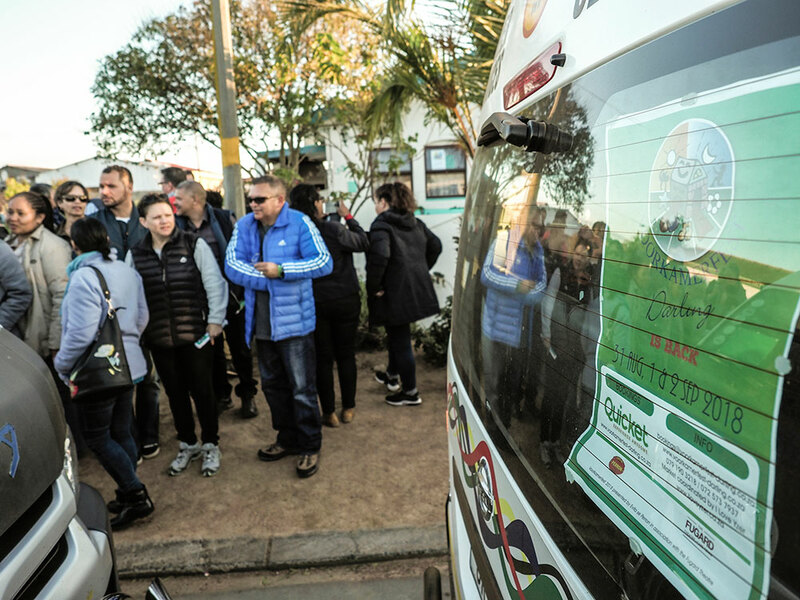 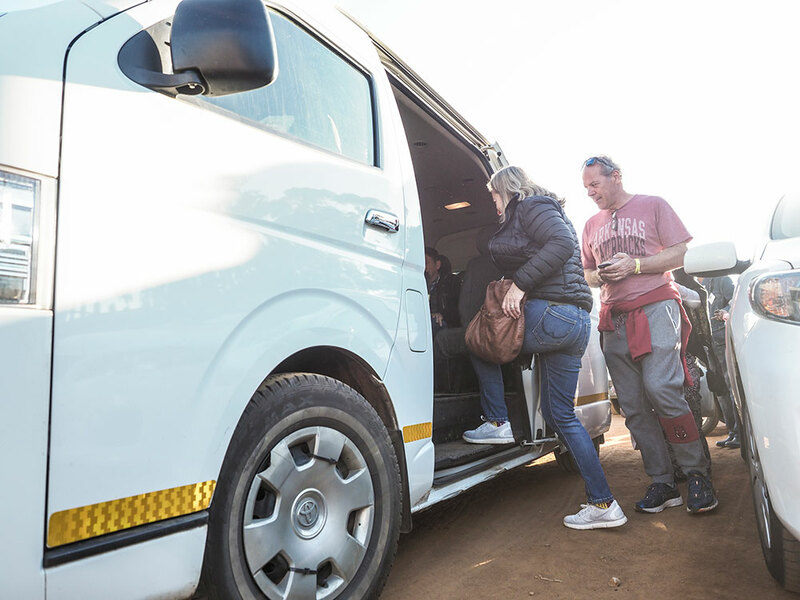 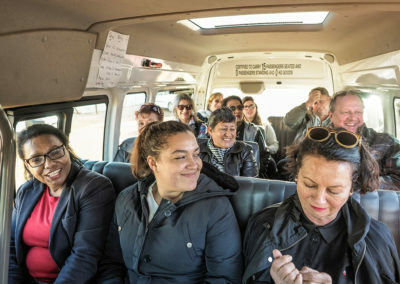 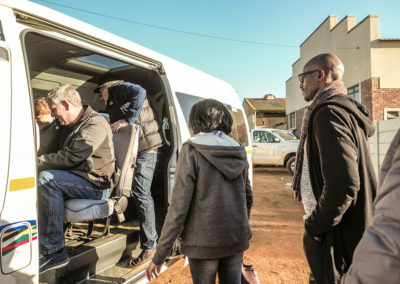 Seven routes host three acts that you will see at random – transported in true South African style by local taxis. 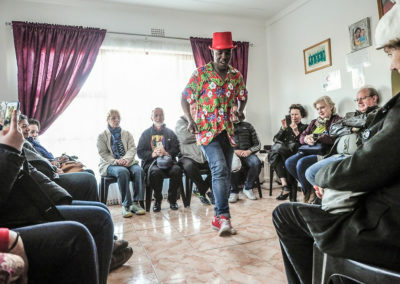 The Voorkamerfest is unique and truly magical. It’s changed the lives of many who have witnessed emotive performances and indeed the lives of the performers themselves. 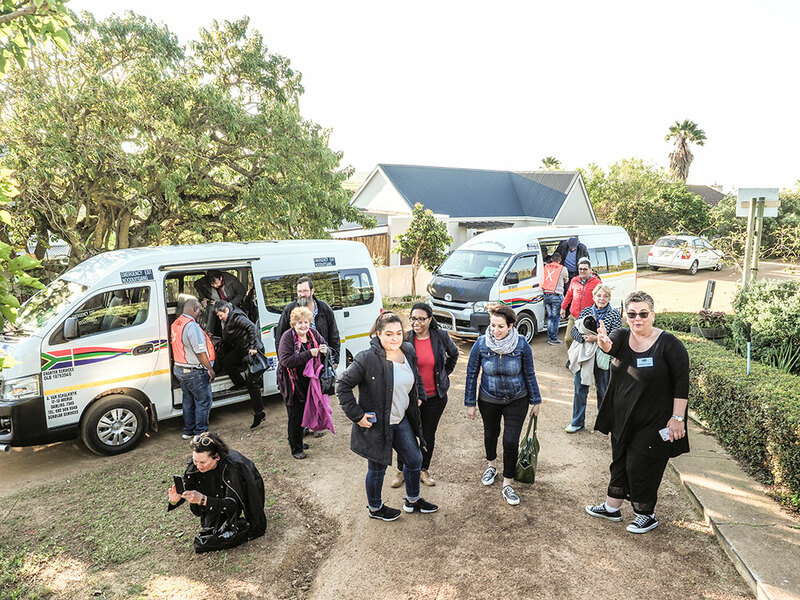 We have had rave reviews from our artists, public and theatre venue owners, some of whom experienced Voorkamerfest for the first time!! 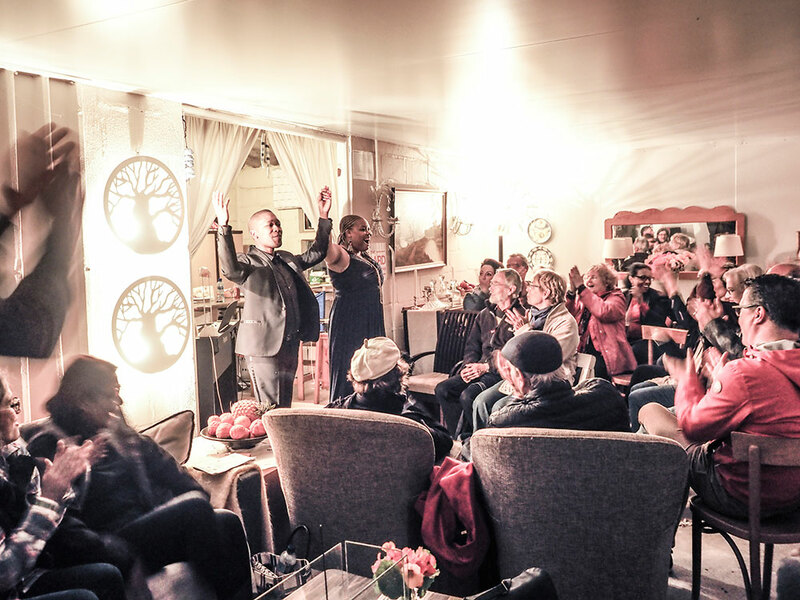 Again, thank you to all who made this daringly diverse and dazzling Darling event possible, we look forward to having you on board next year. 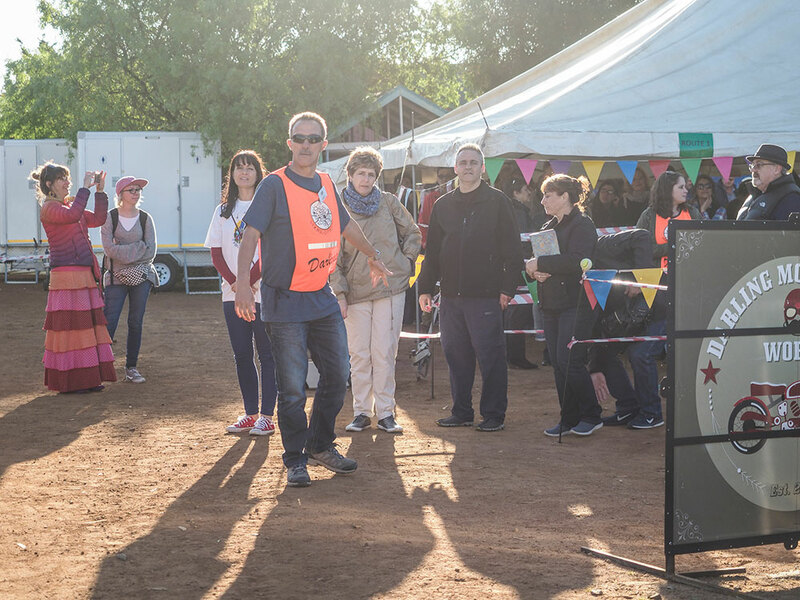 Held annually the first weekend of September, the 2019 Voorkamerfest promises so much more – so make sure you don’t miss it, save the date! 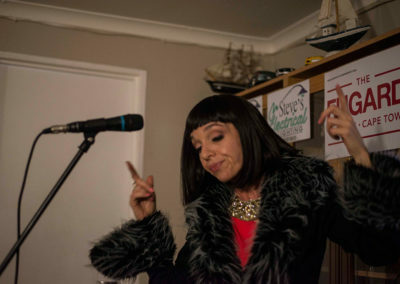 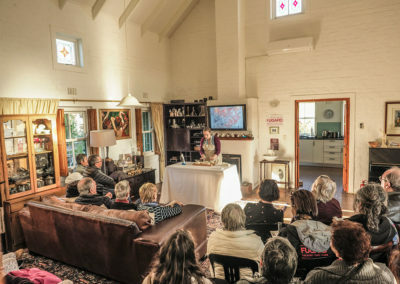 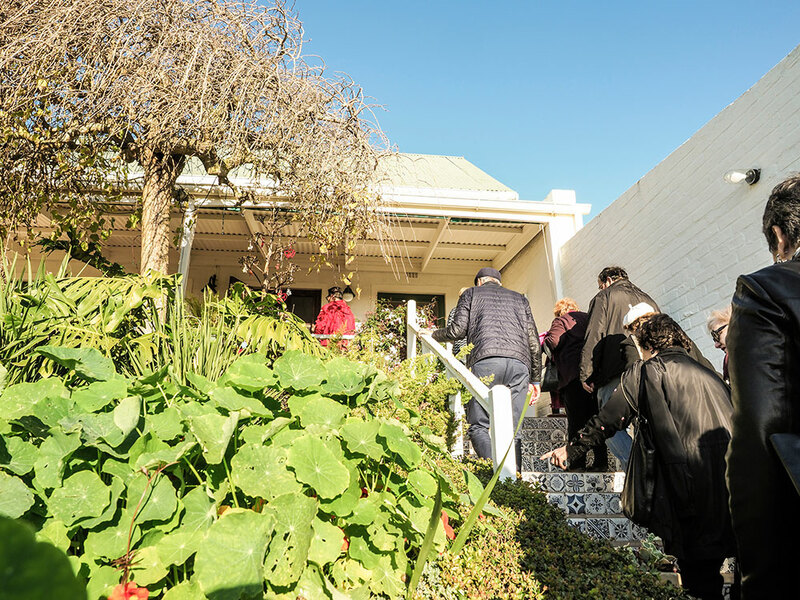 6, 7 & 8 September 2019 – bookings open 1 July 2019. Festival greetings, we hope to see you in Darling soon, where there is always much to experience for anyone passing through. 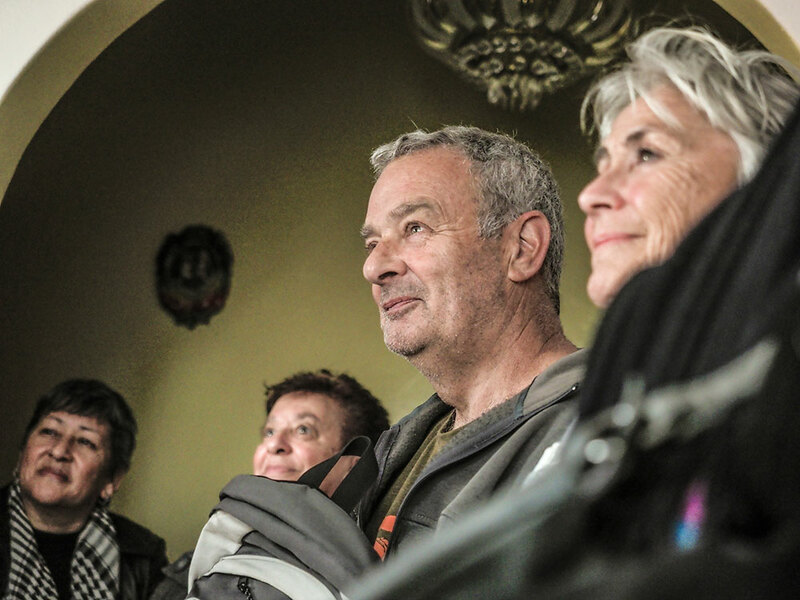 A visit to Evita se Perron and Boerassic Park is not to be missed.